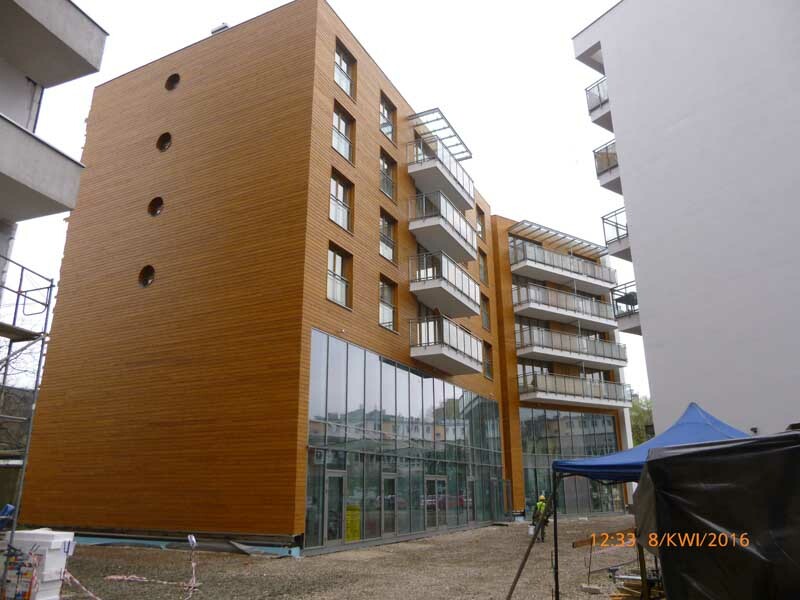 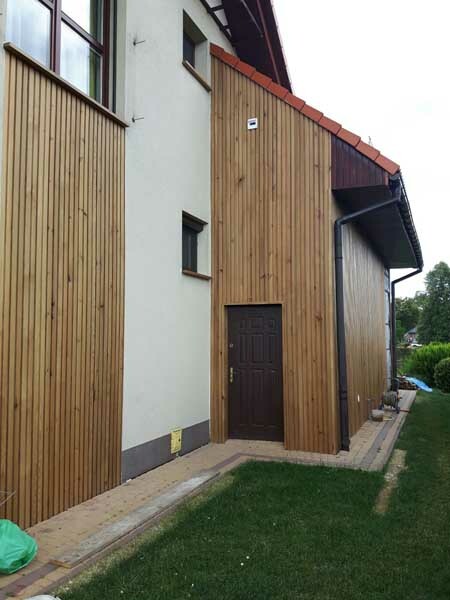 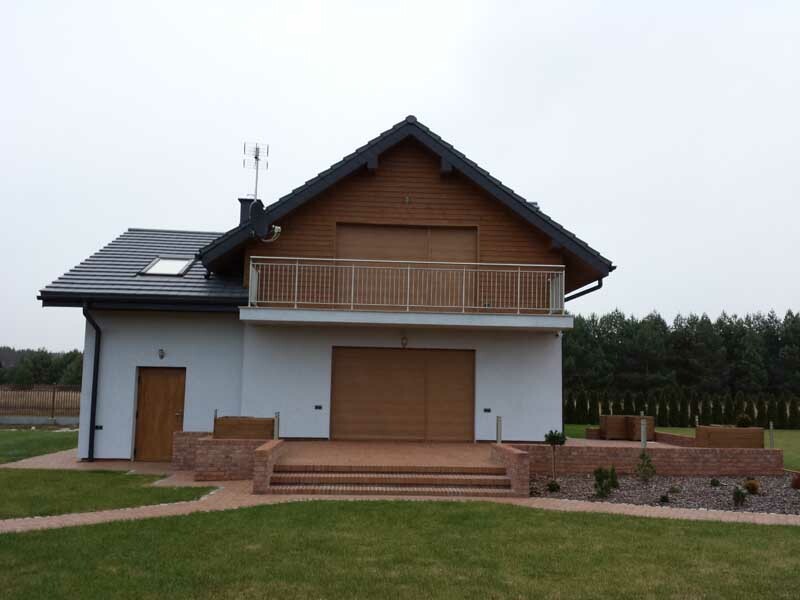 See for Yourself that wooden elevations made by company VITIS are very good choice, as dozens of clients have arlready done it. 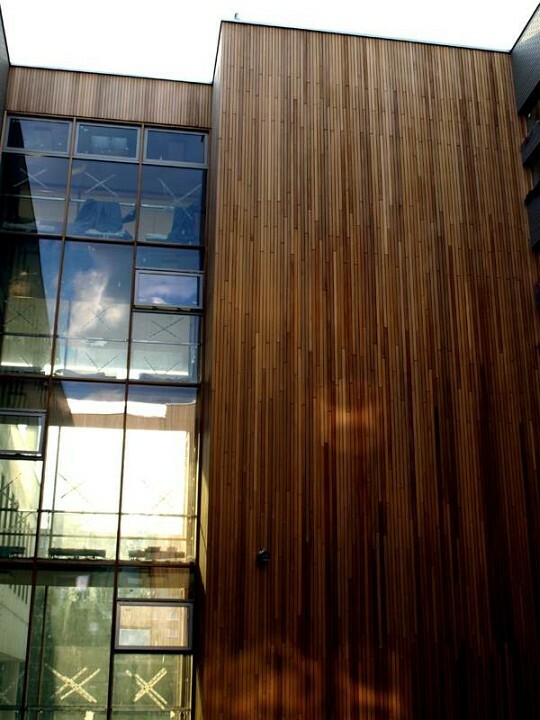 WOODEN ELEVATIONS ARE OUR SPECIALTY. 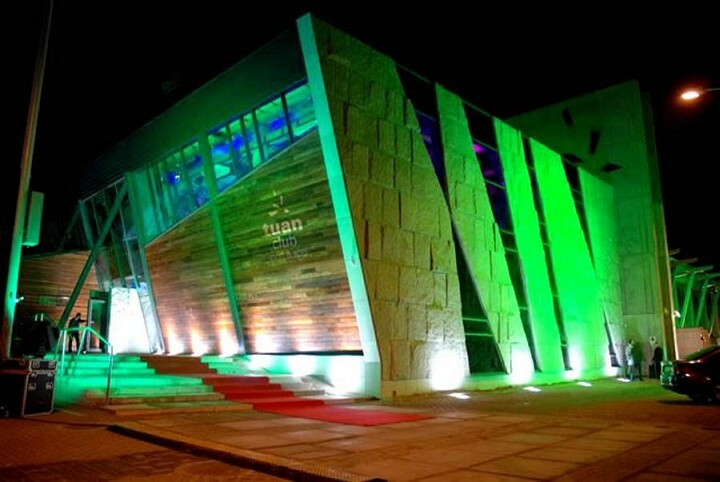 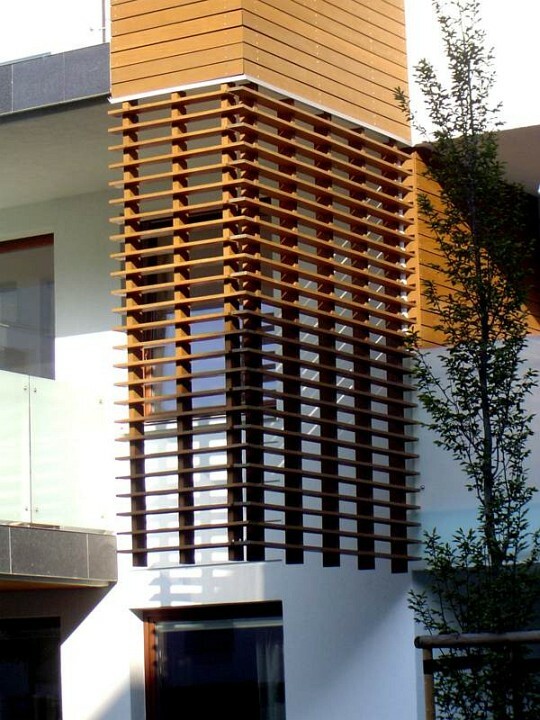 They are very trendy these days: beautiful, elegant, modern, and at the same time natural, ecological and refering to the traditional architecture. 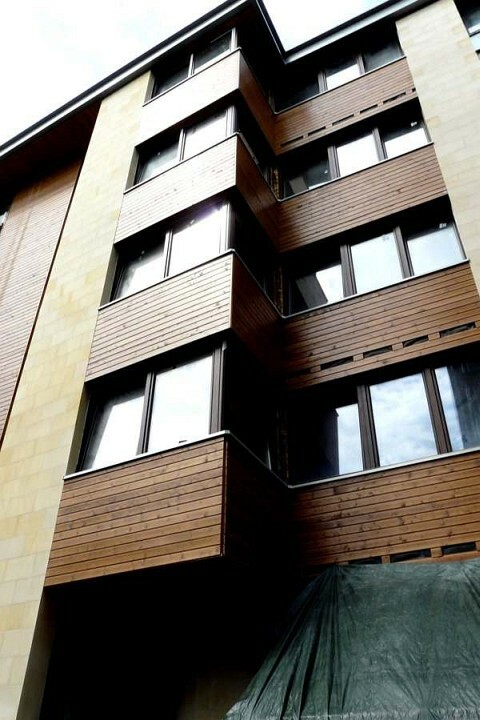 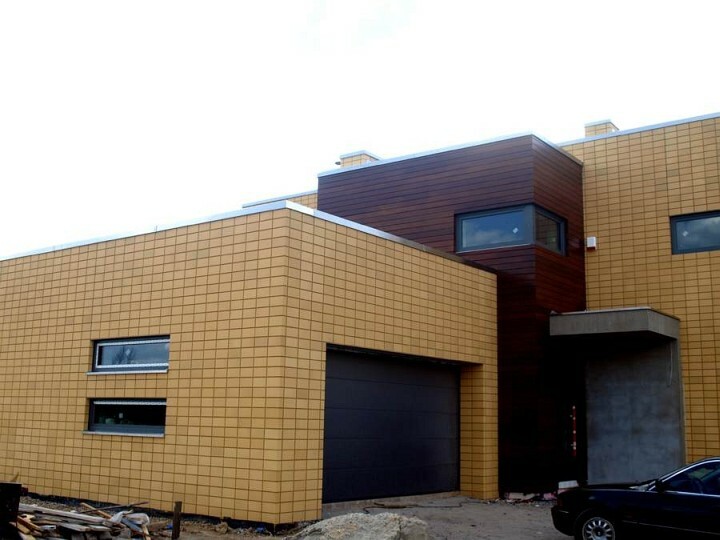 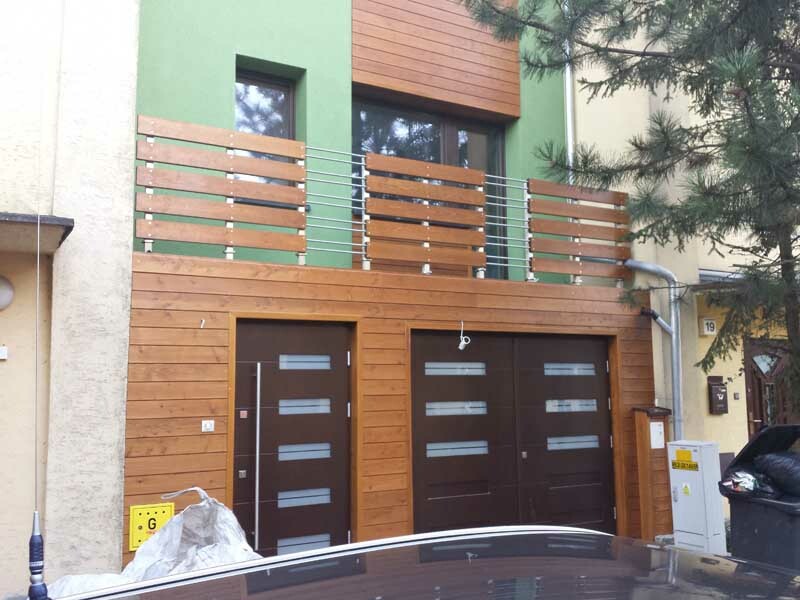 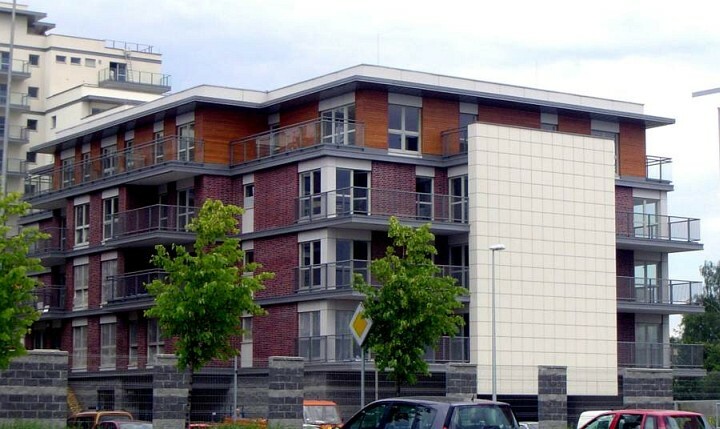 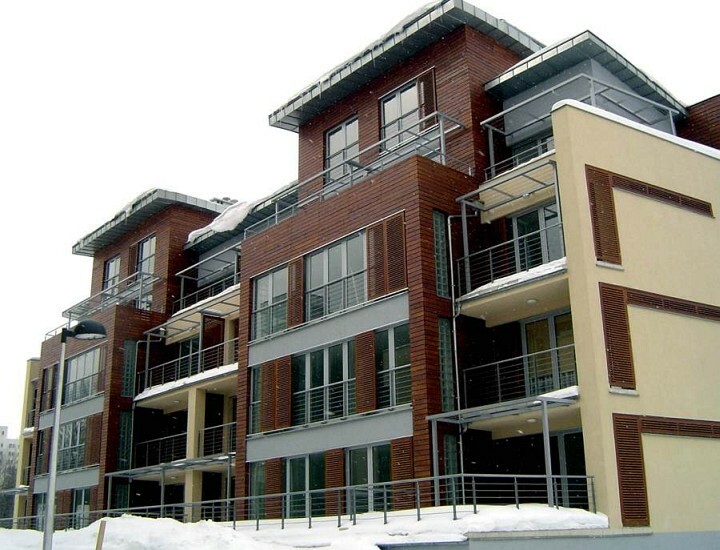 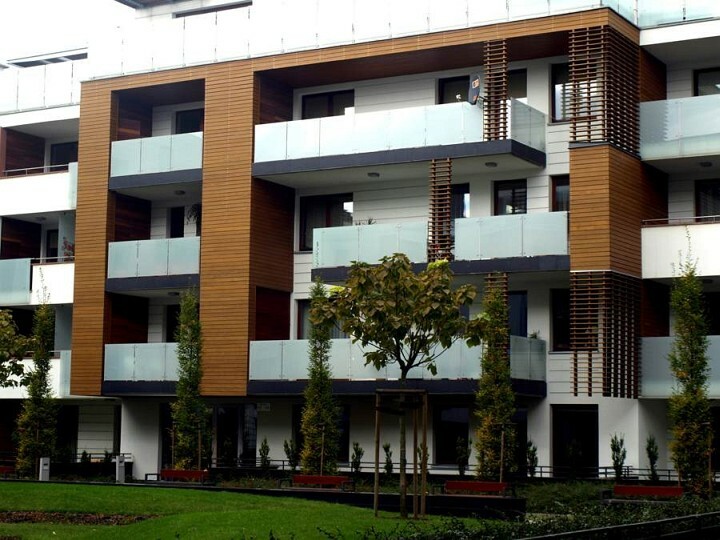 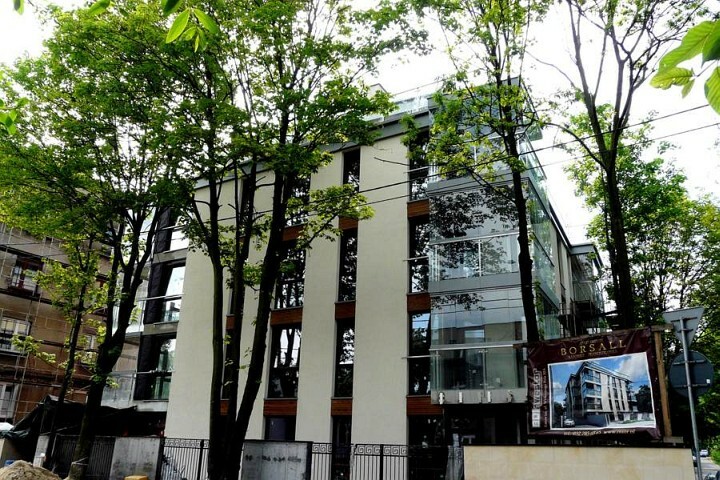 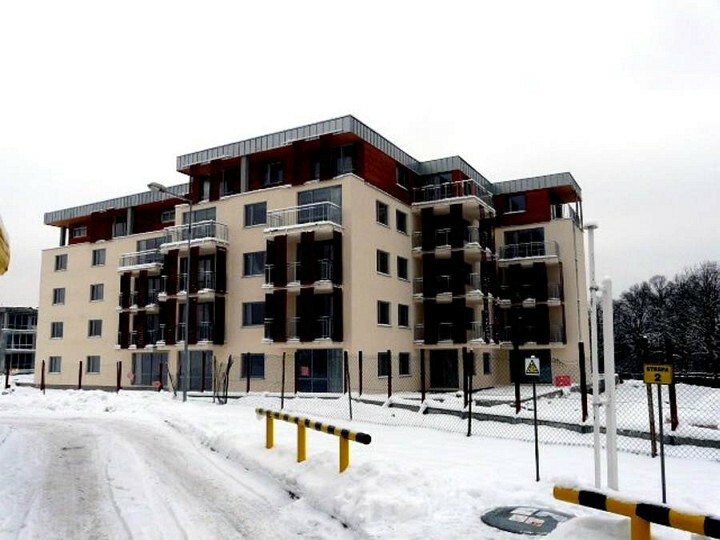 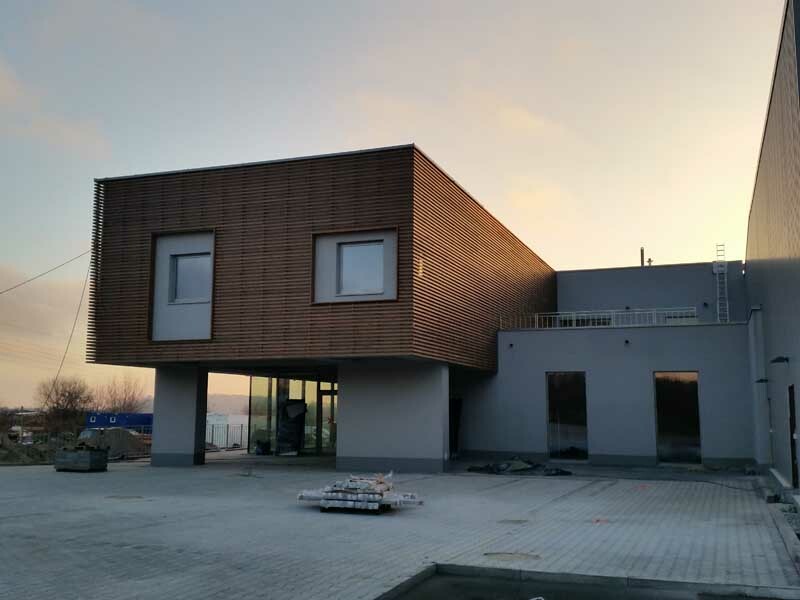 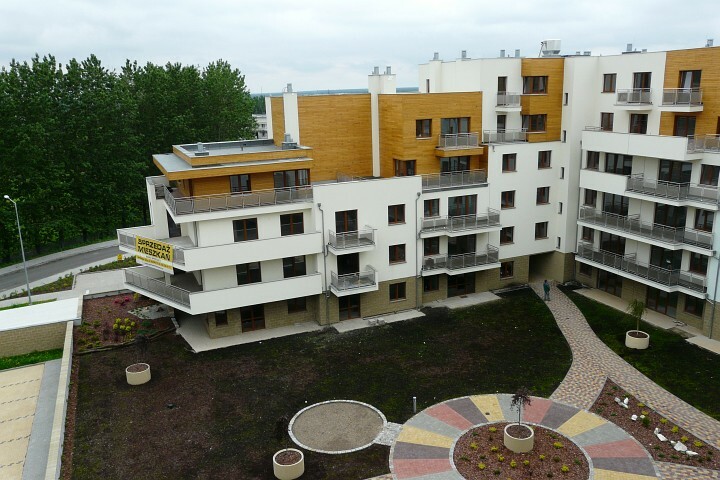 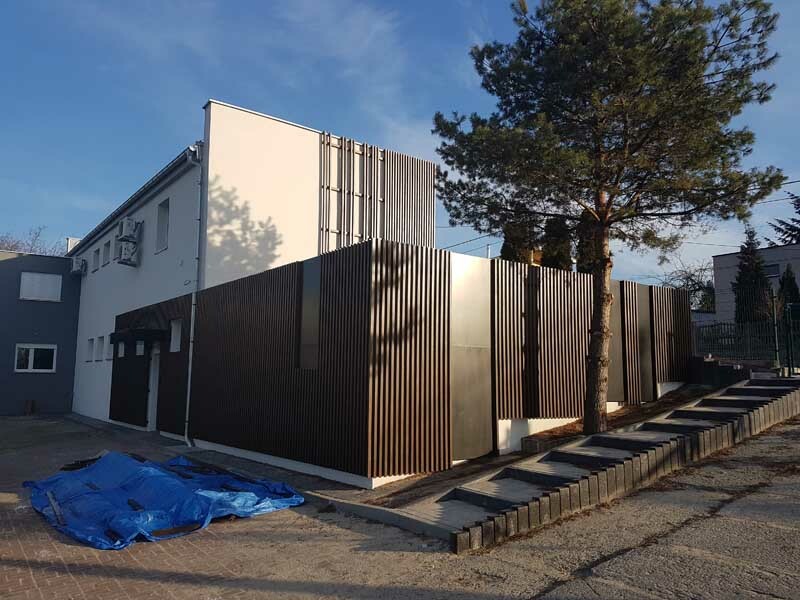 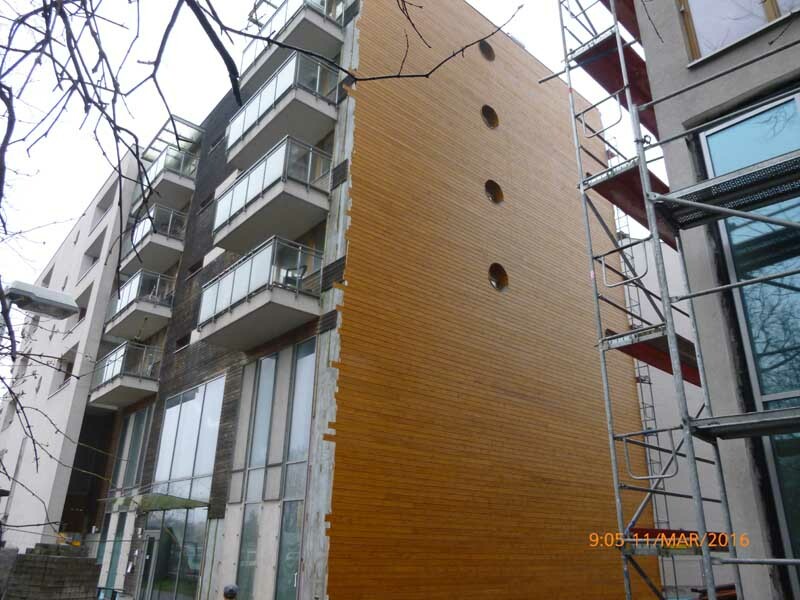 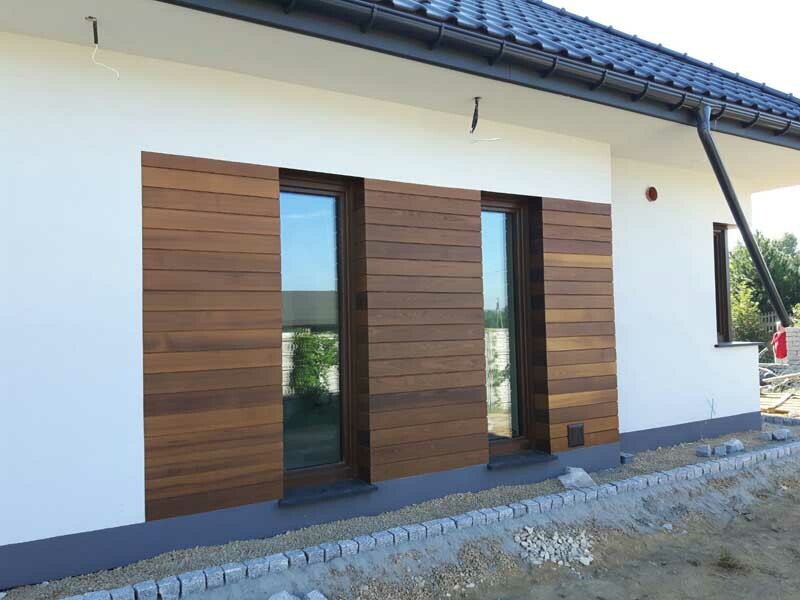 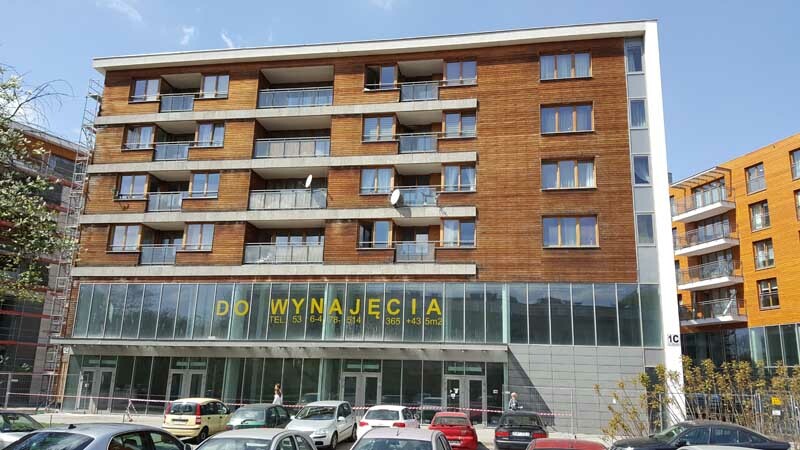 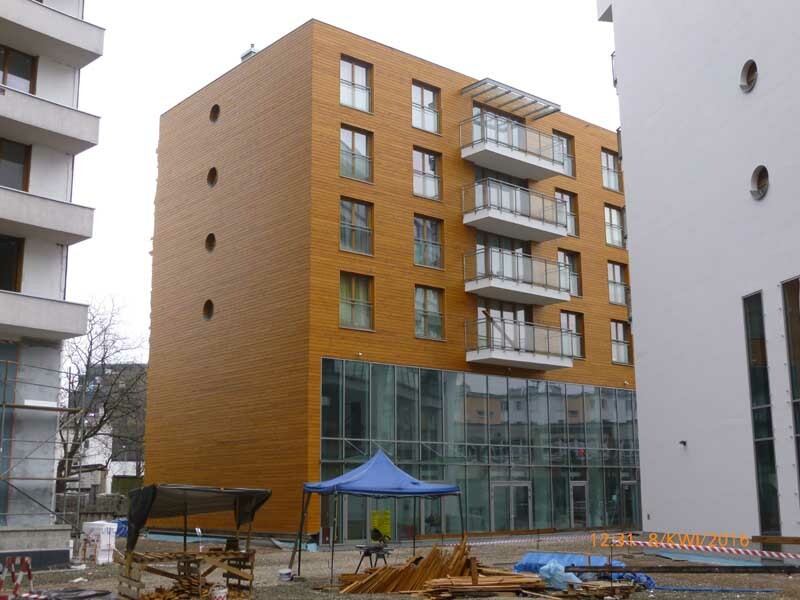 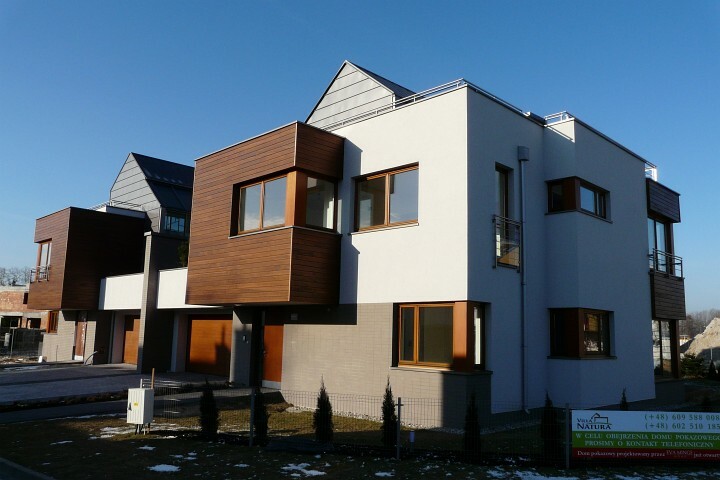 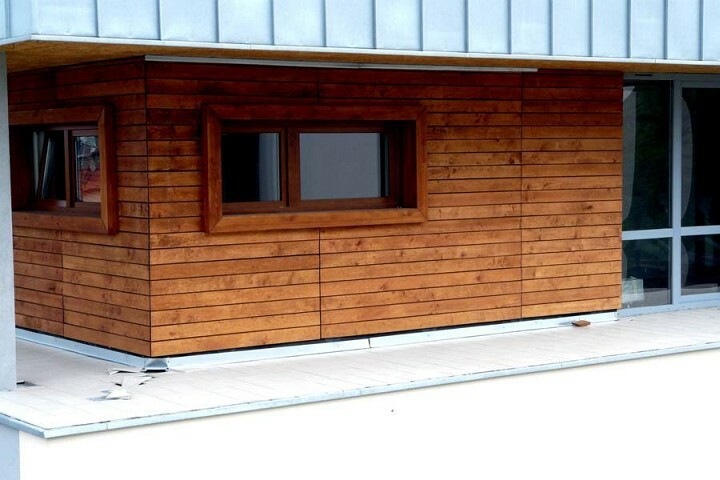 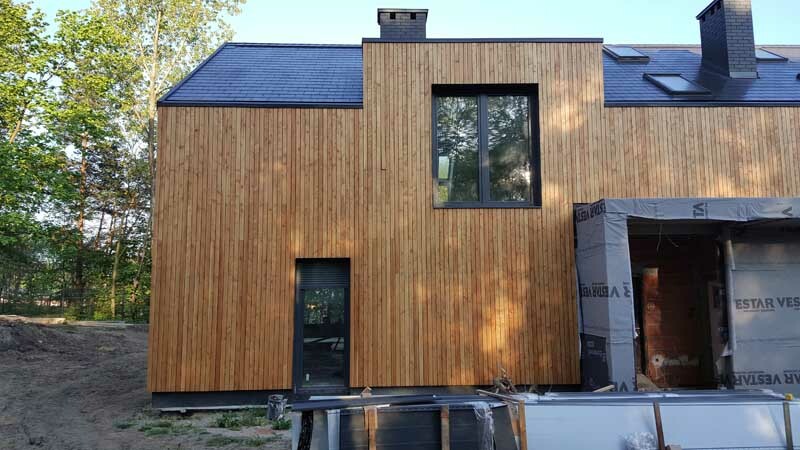 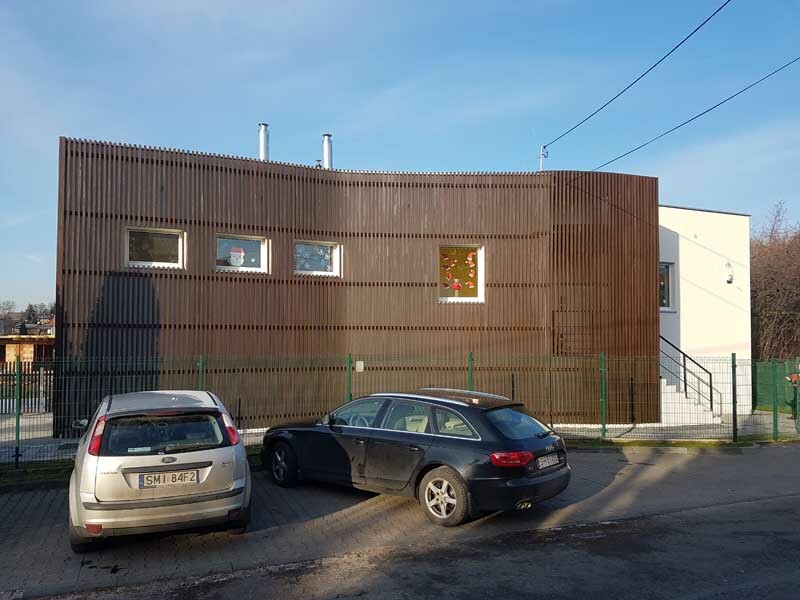 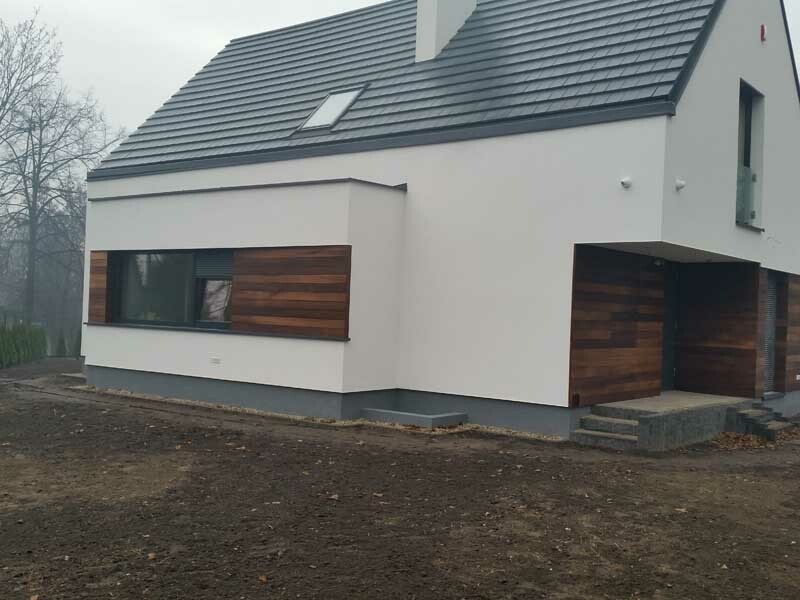 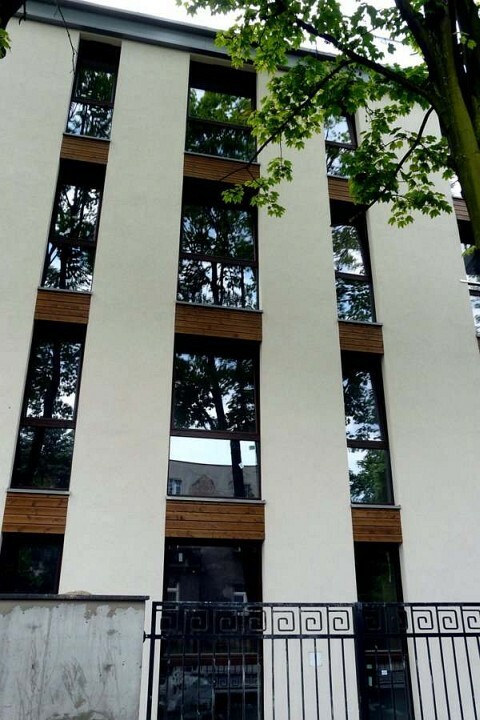 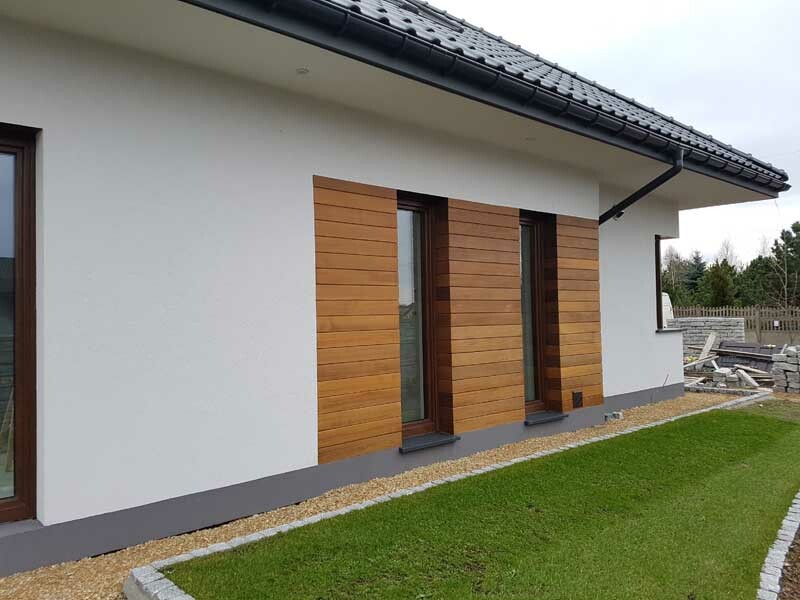 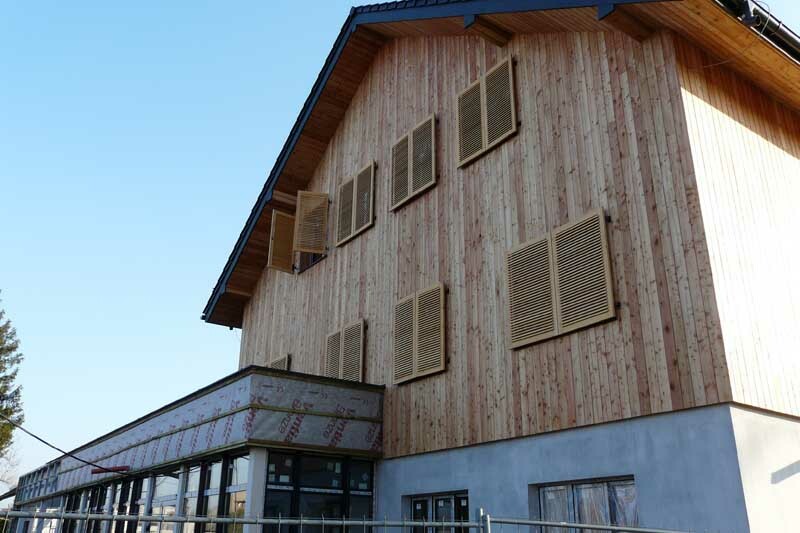 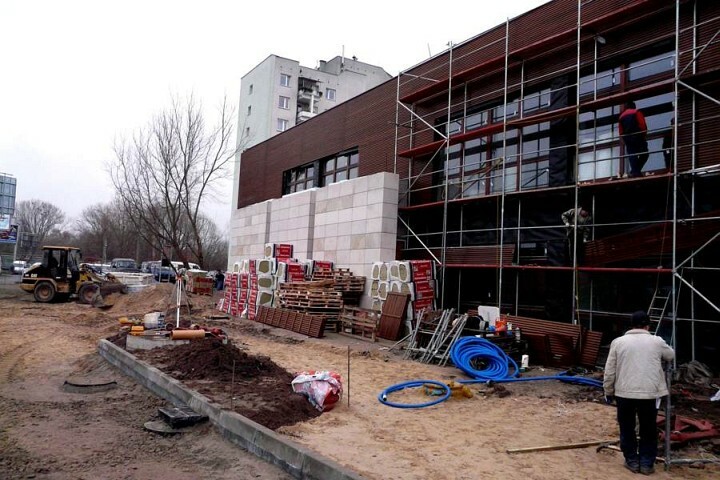 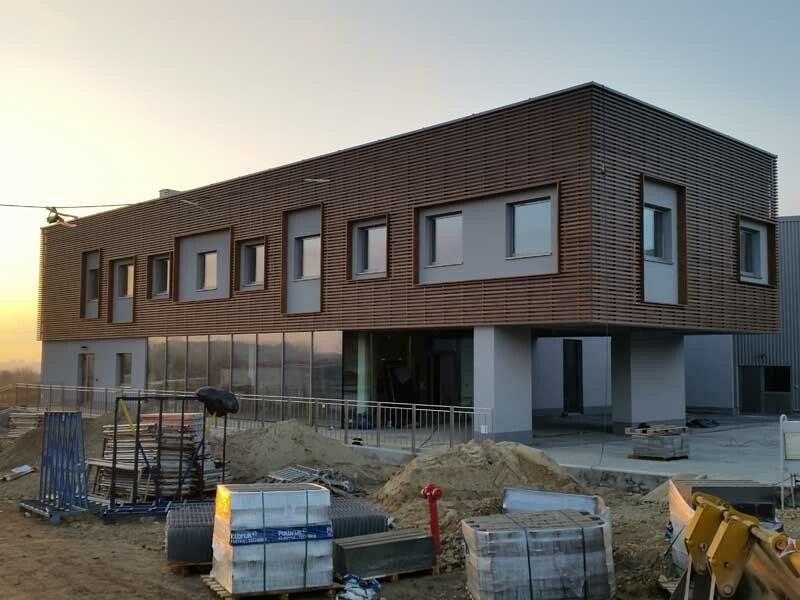 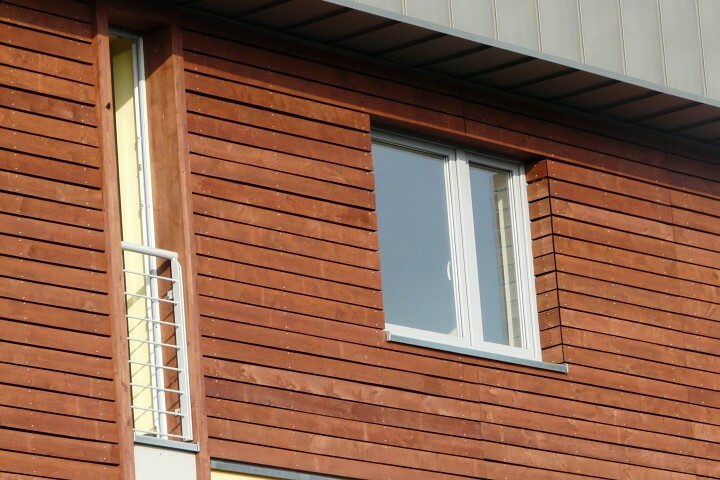 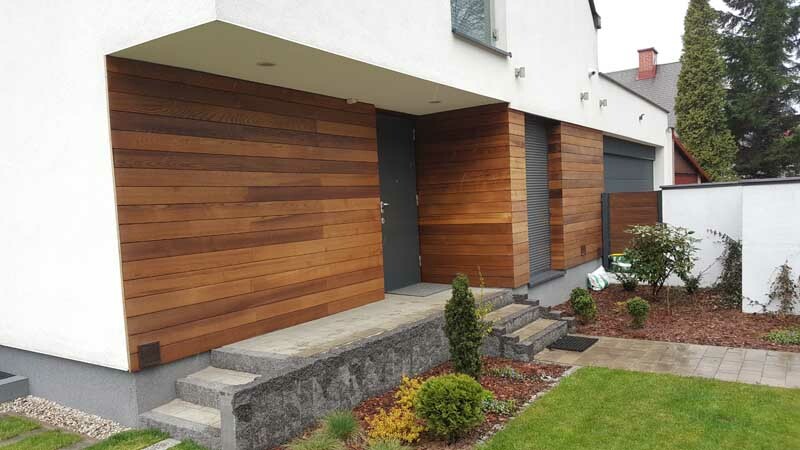 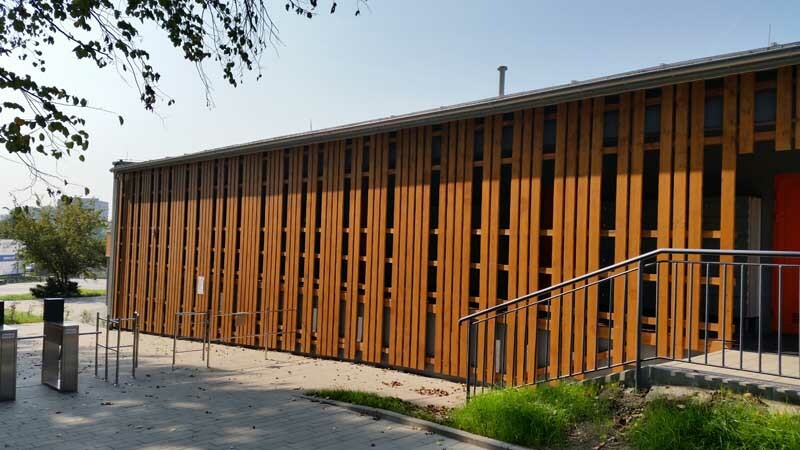 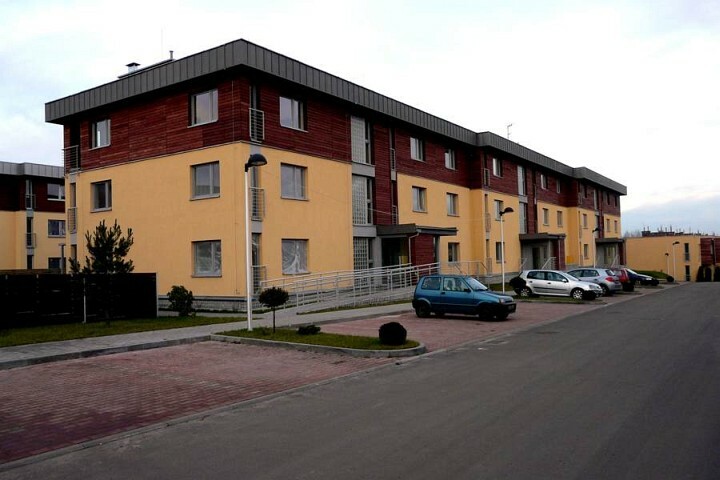 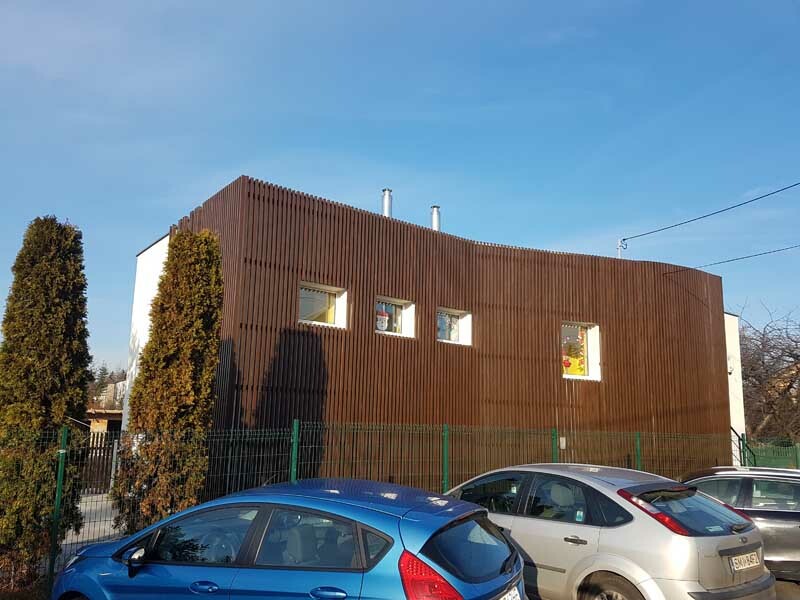 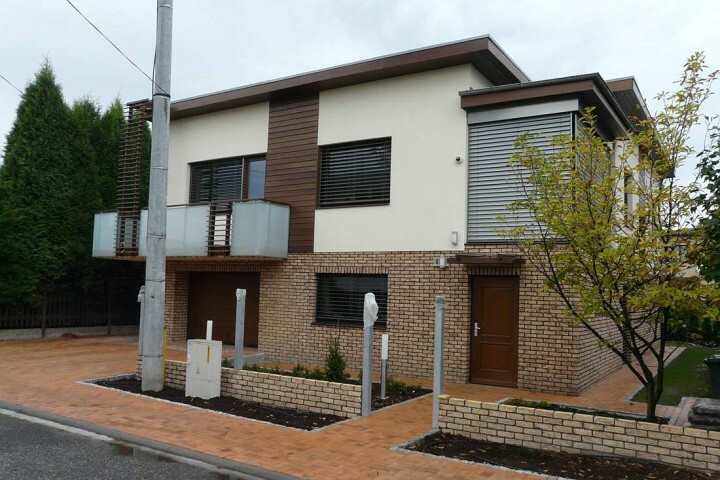 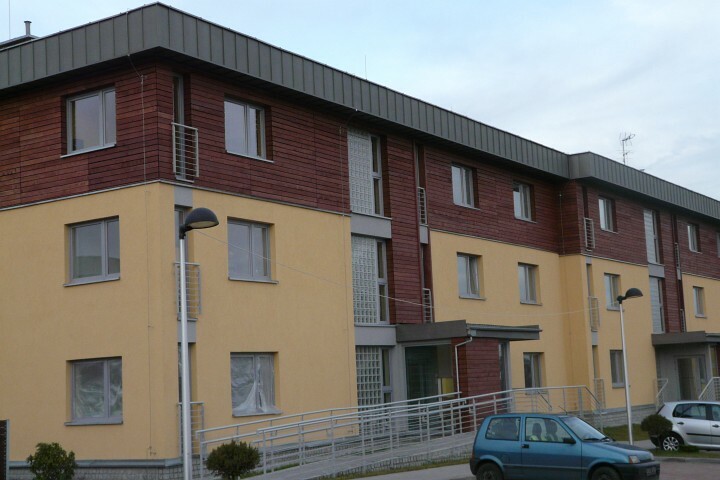 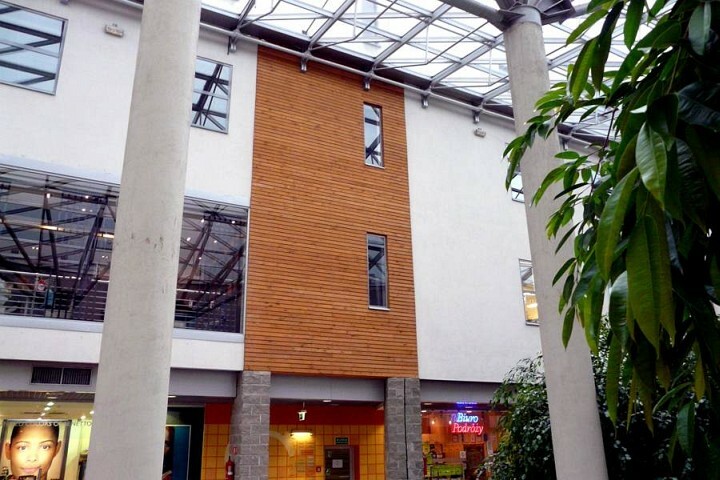 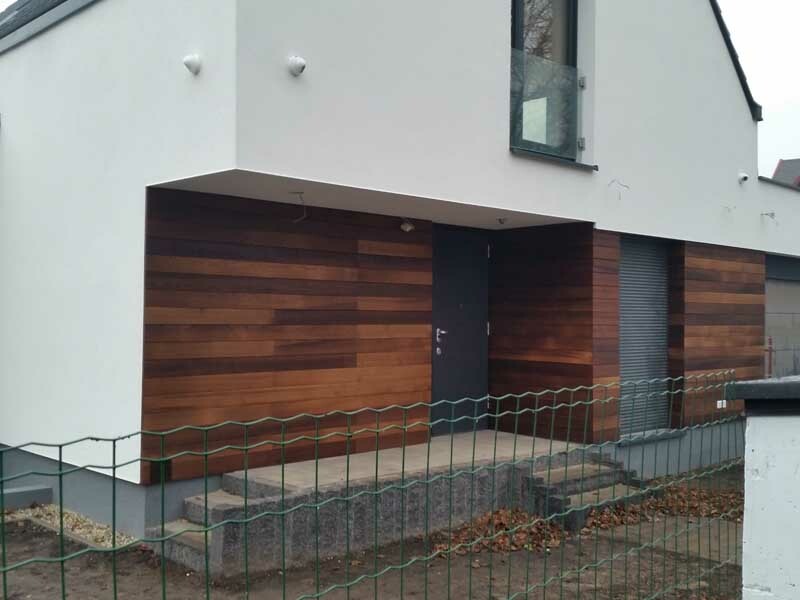 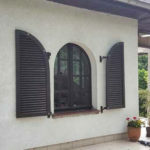 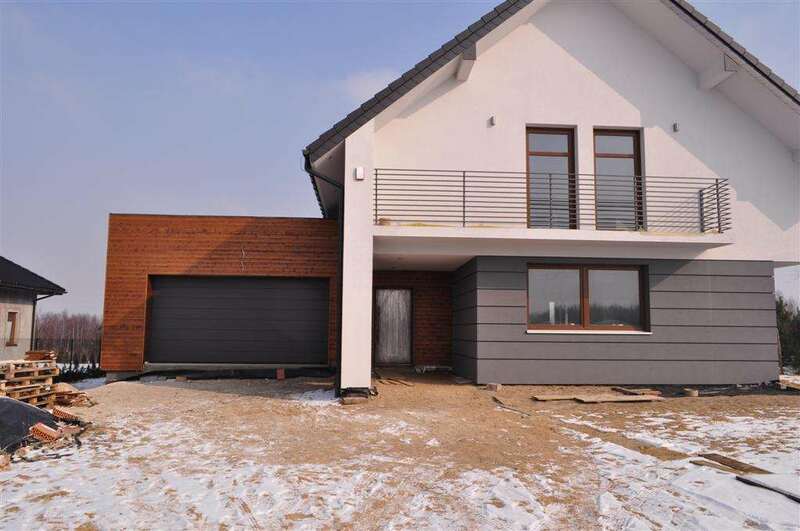 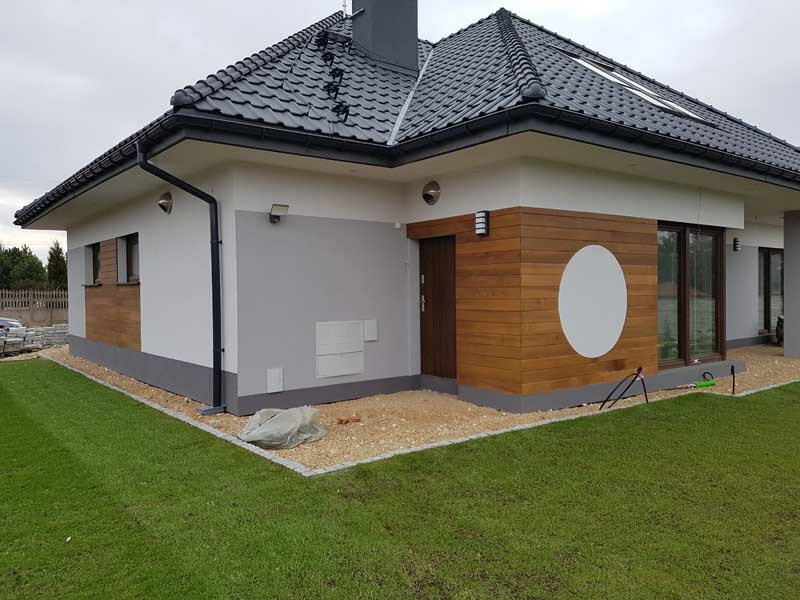 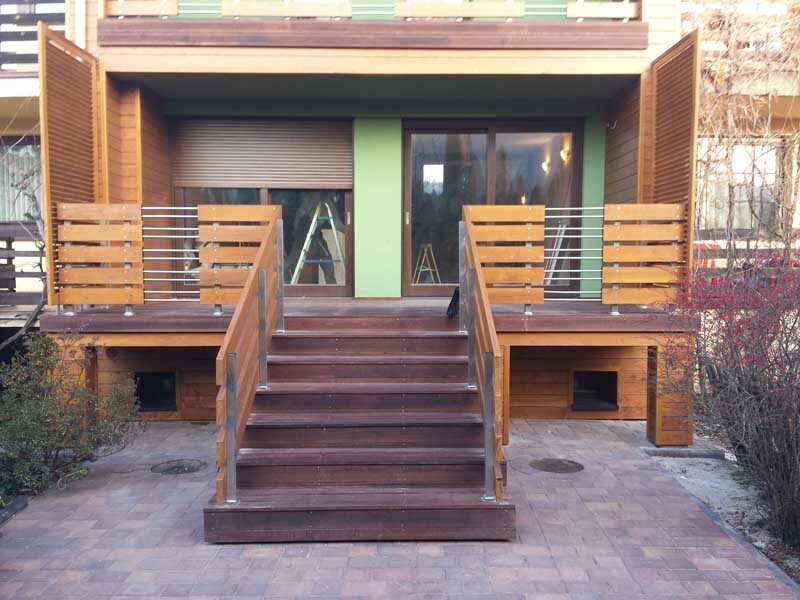 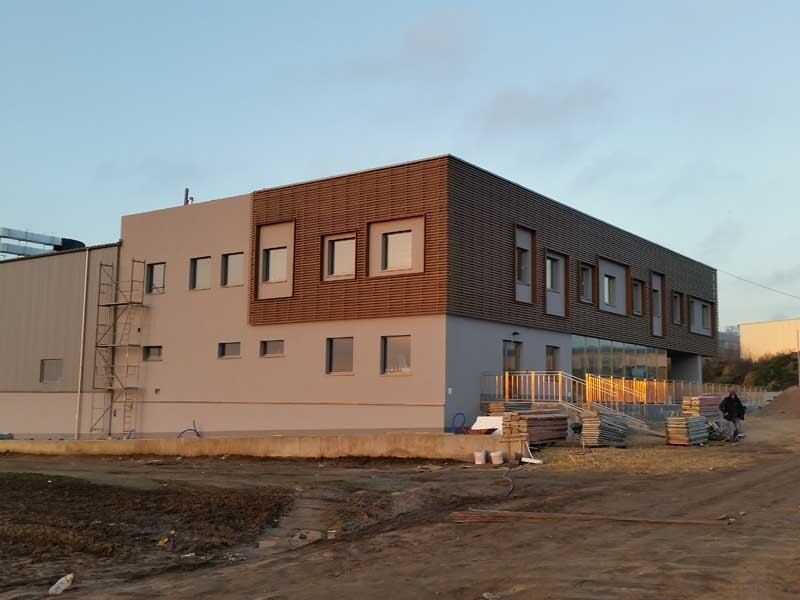 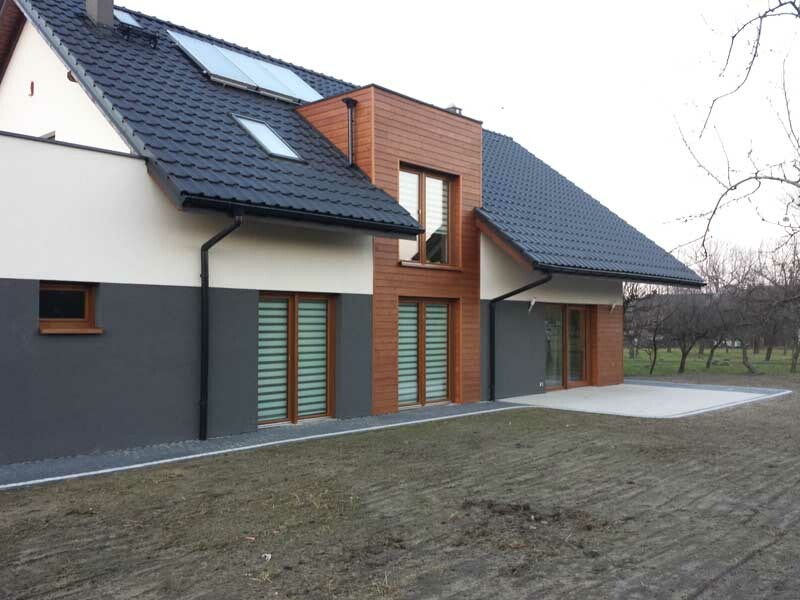 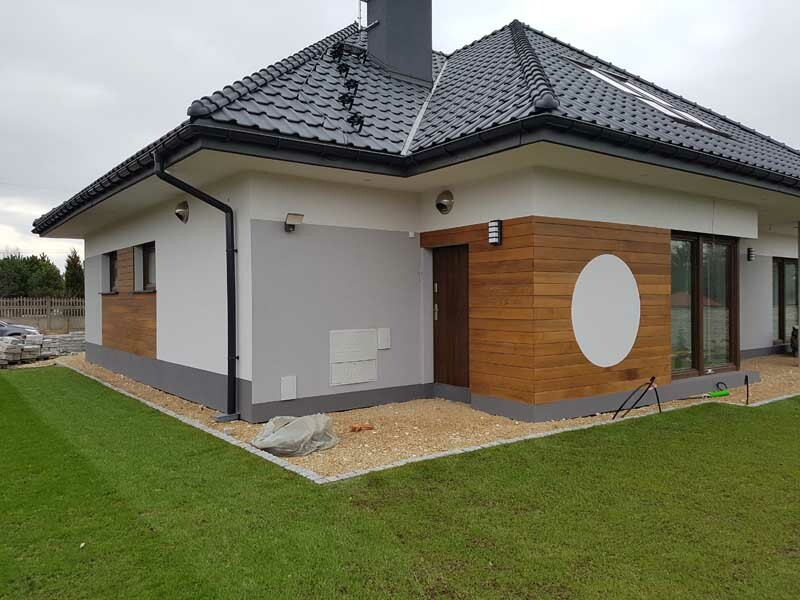 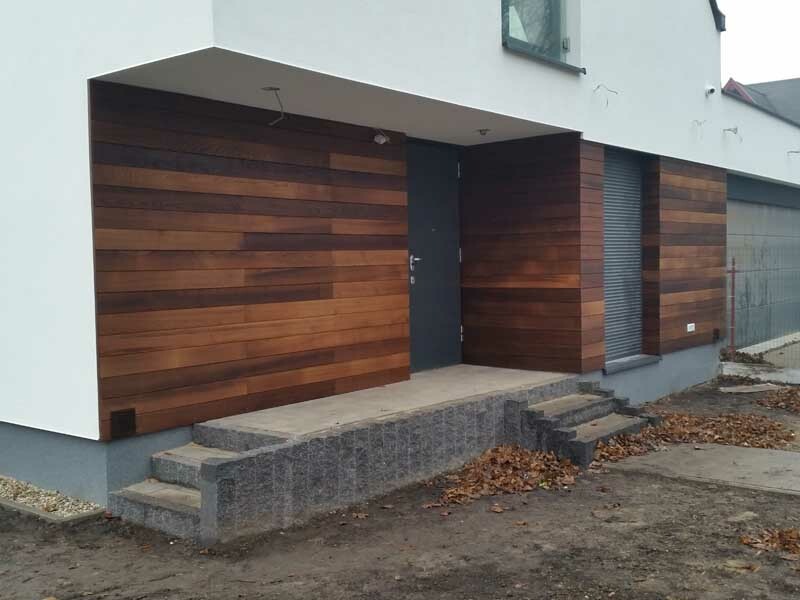 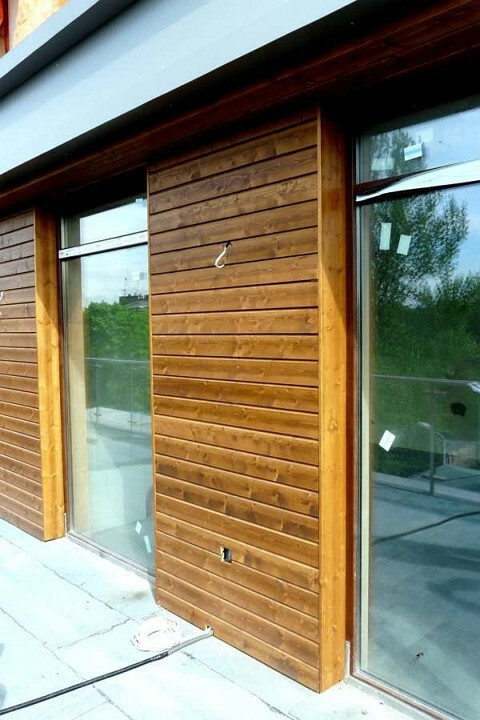 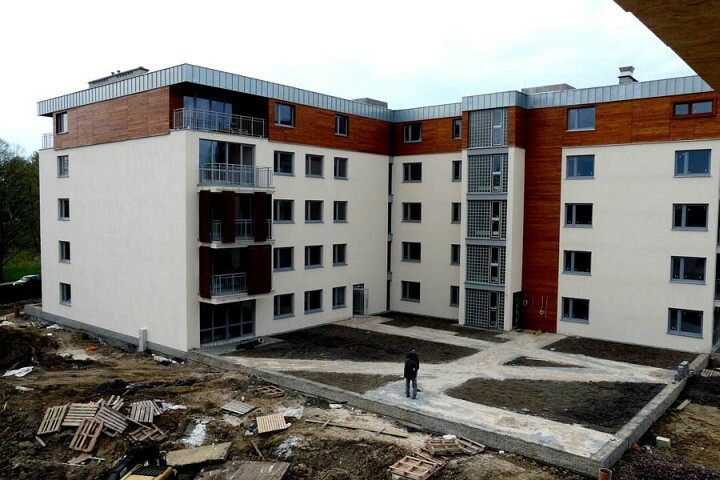 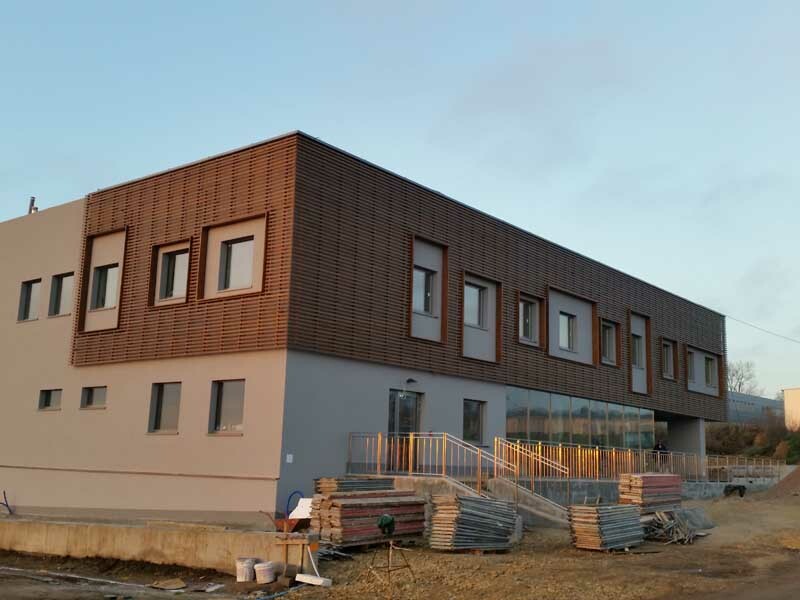 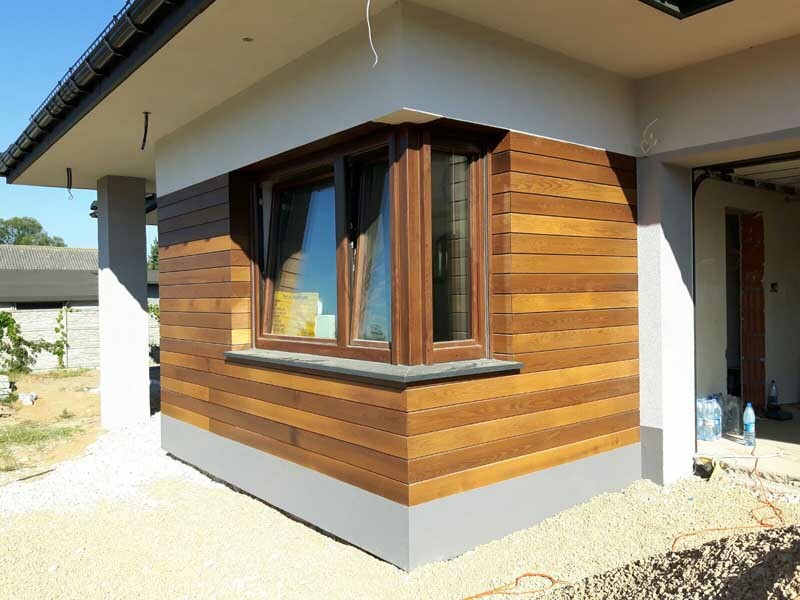 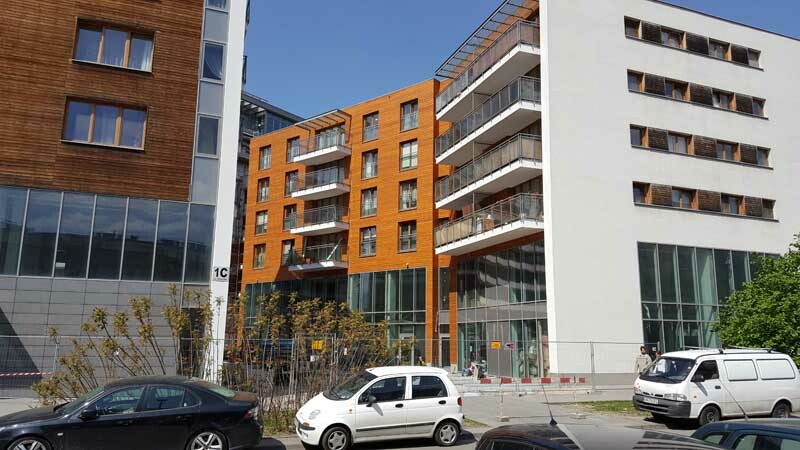 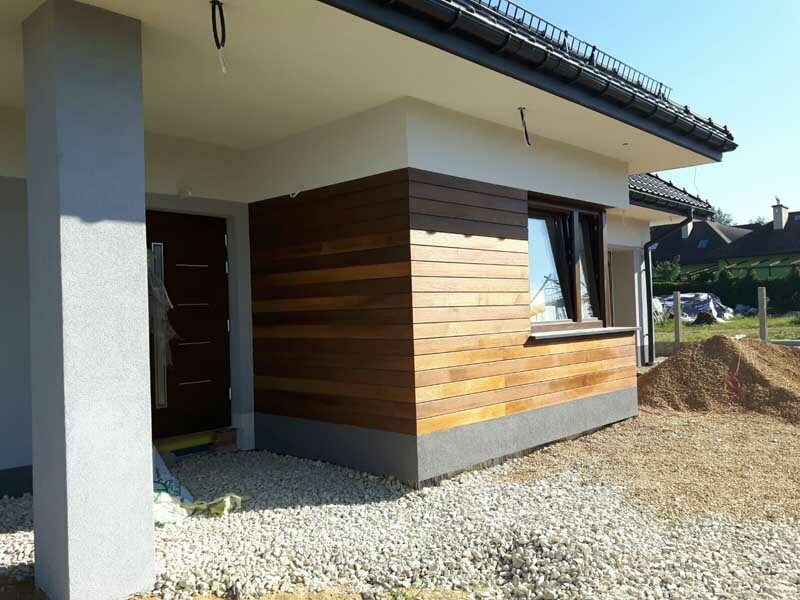 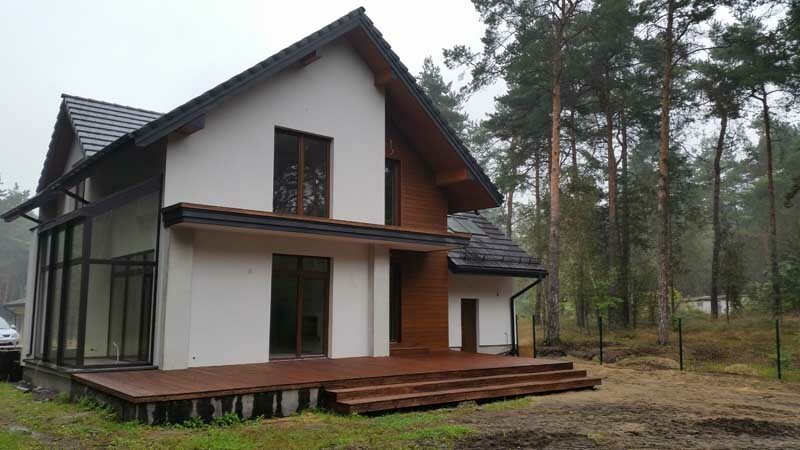 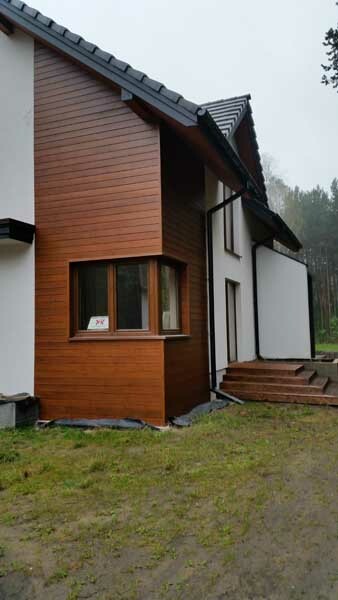 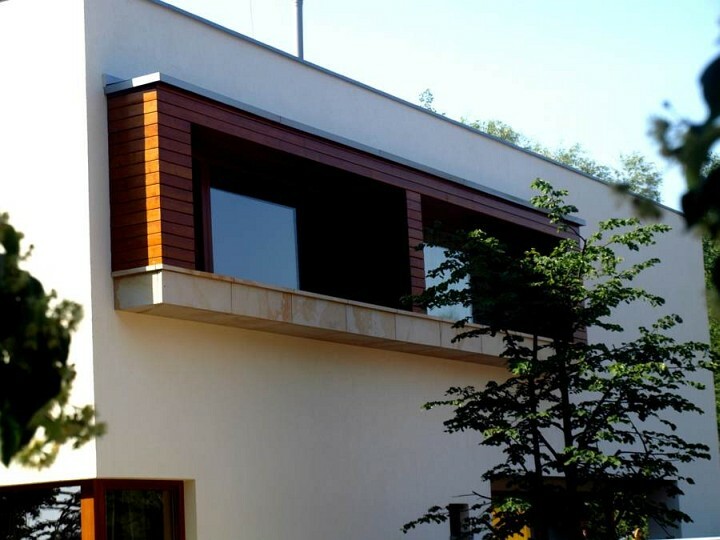 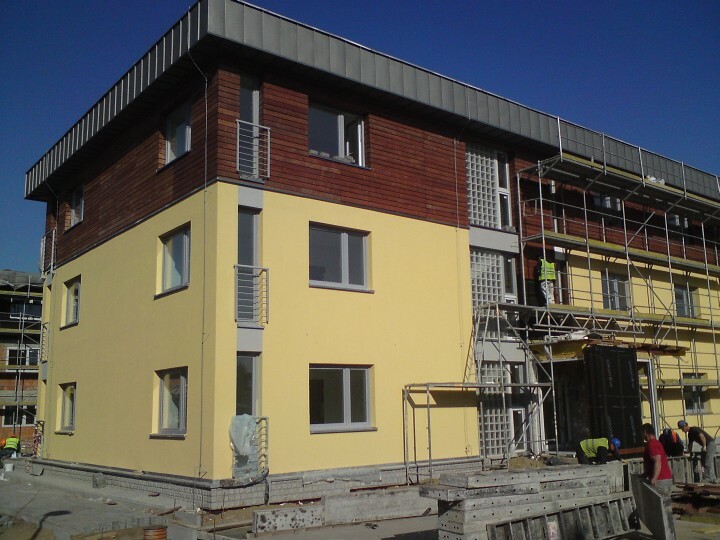 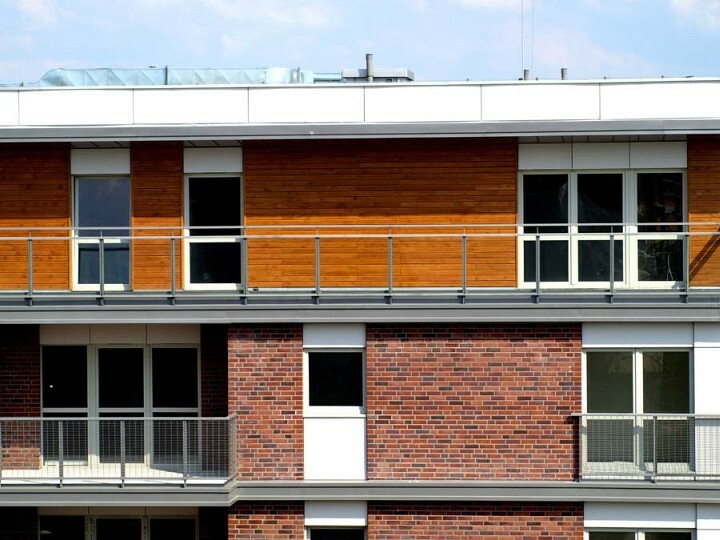 Other good quality of wooden elevation is possibility to combine with various materials such as: plaster, stone, glass, clinker, raw concrete and metal. 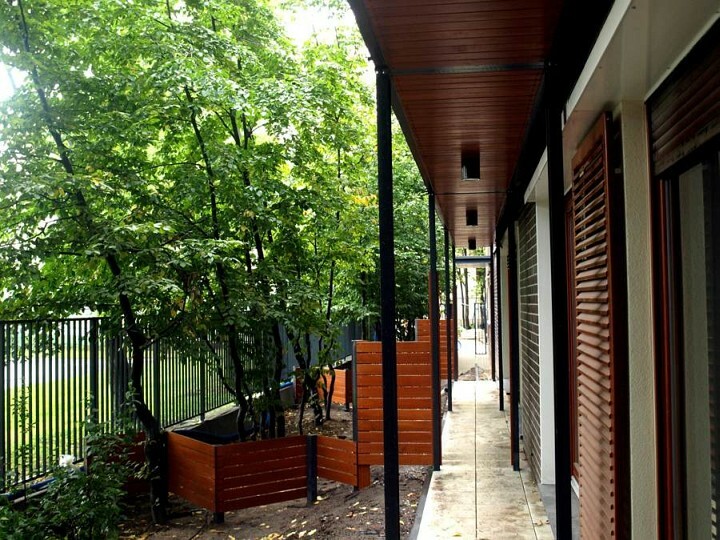 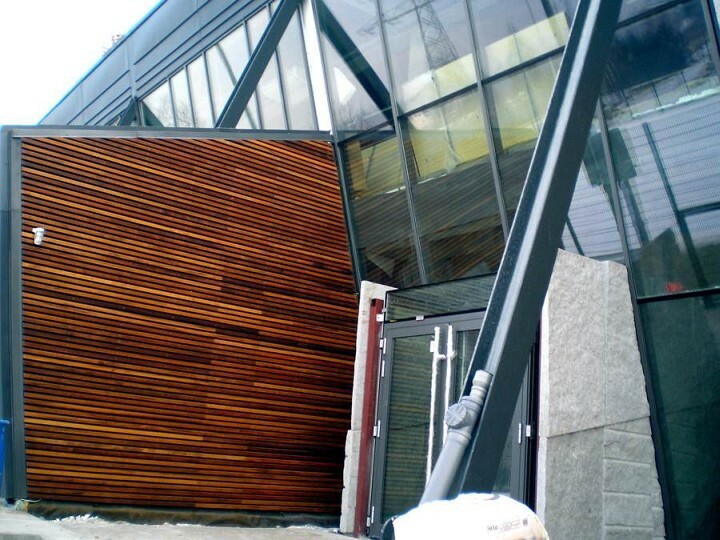 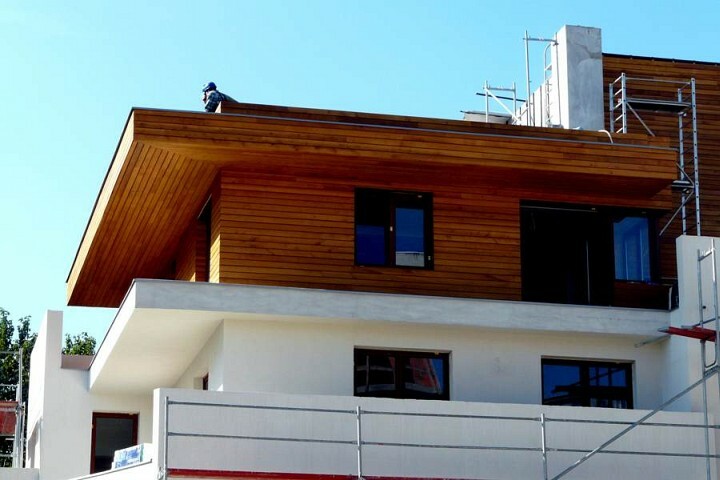 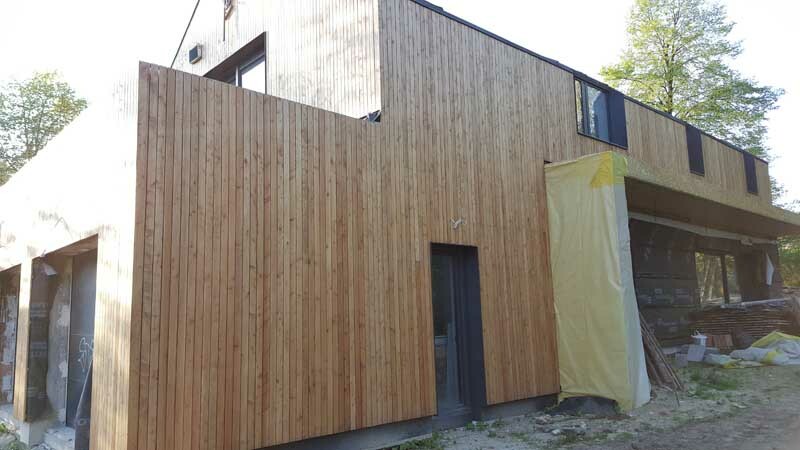 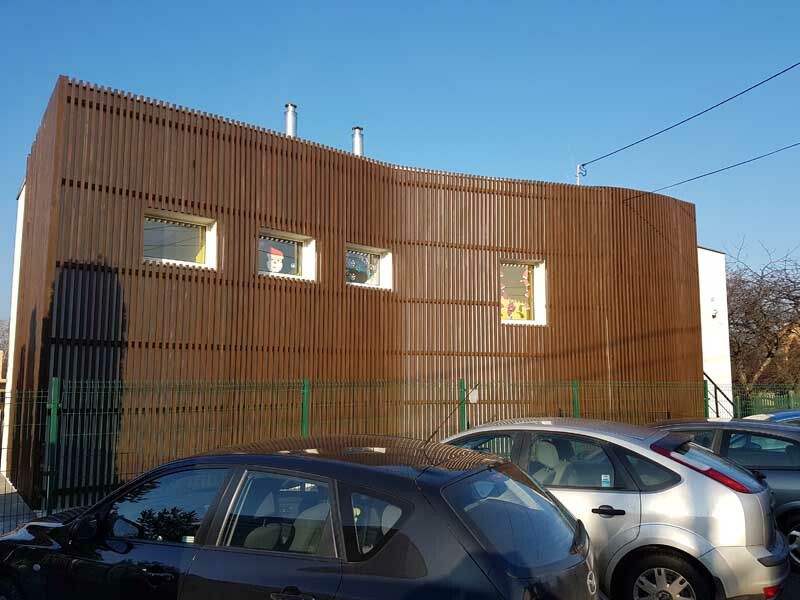 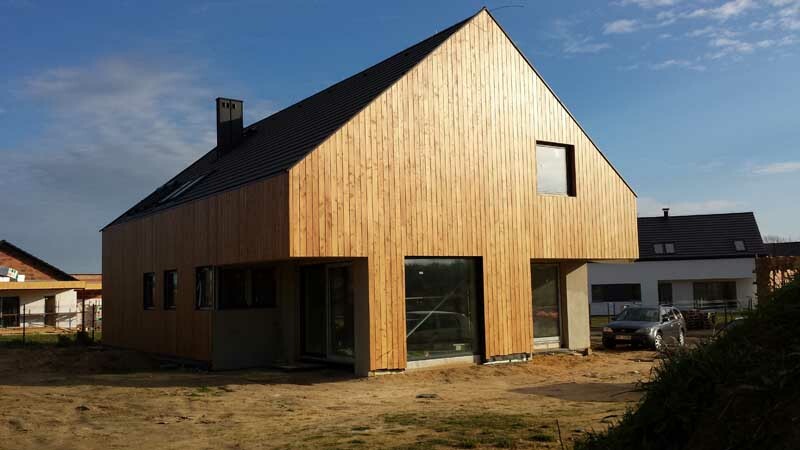 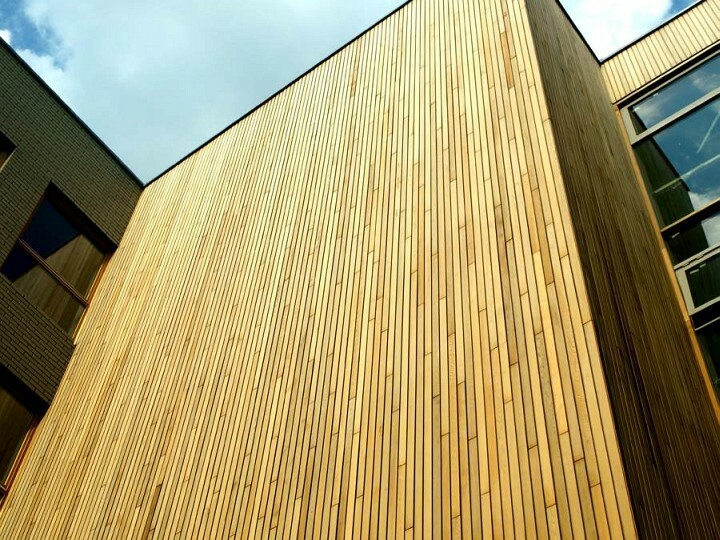 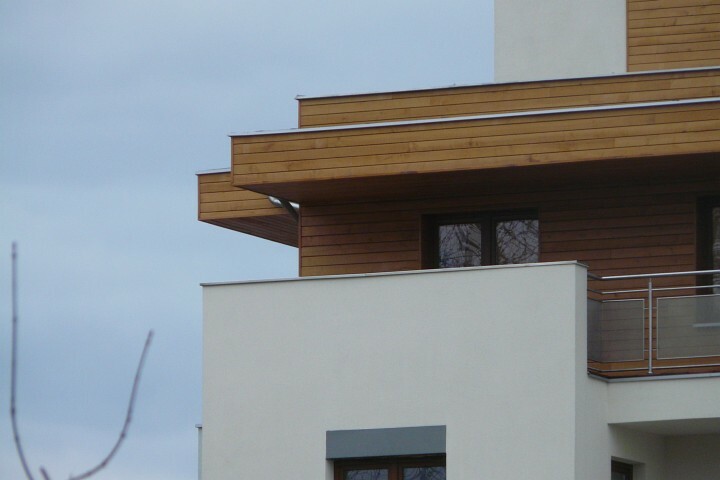 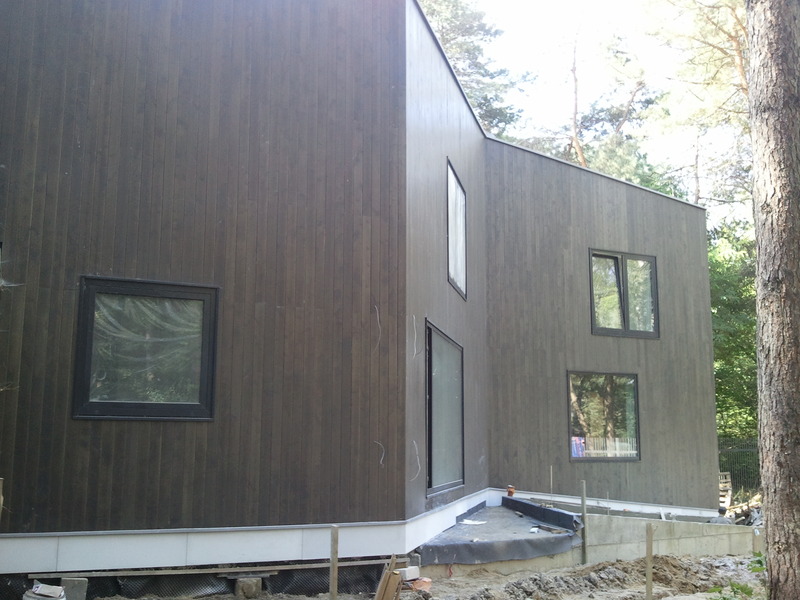 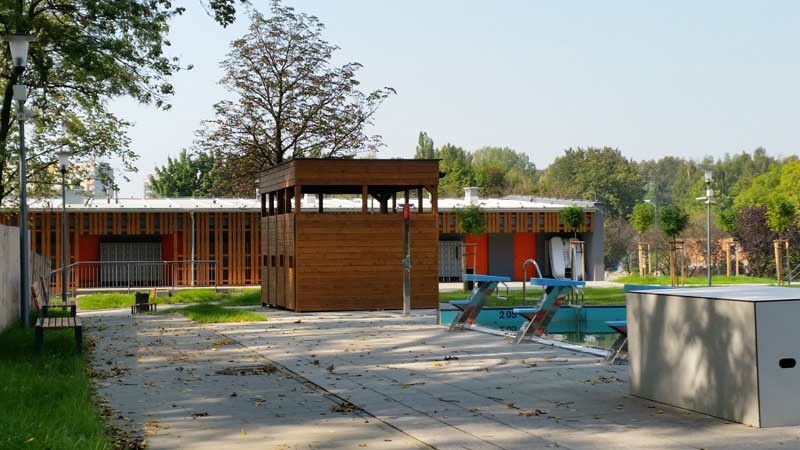 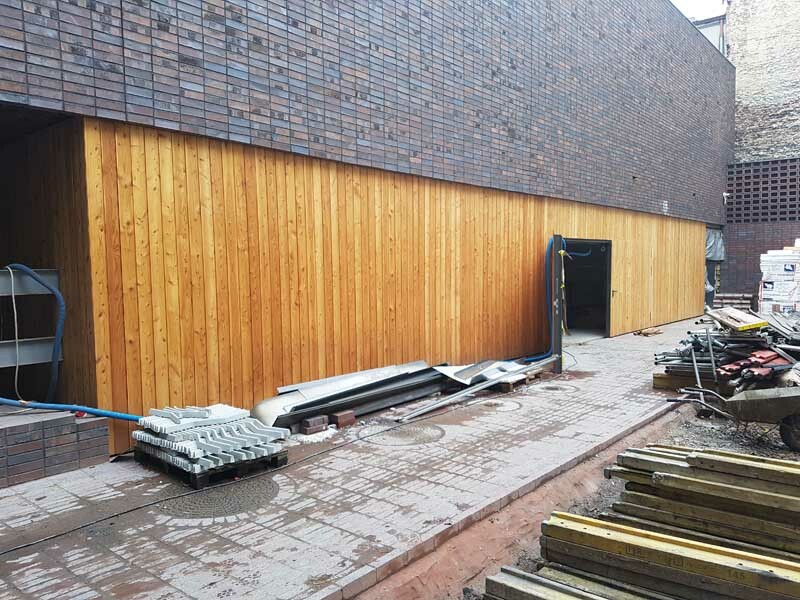 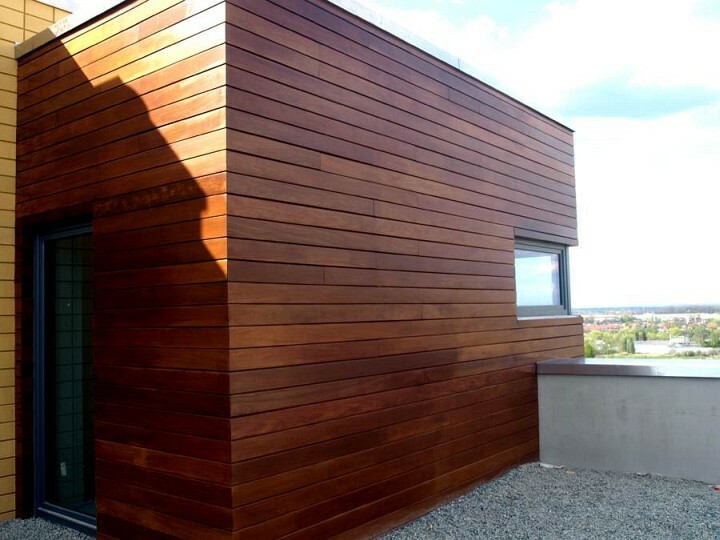 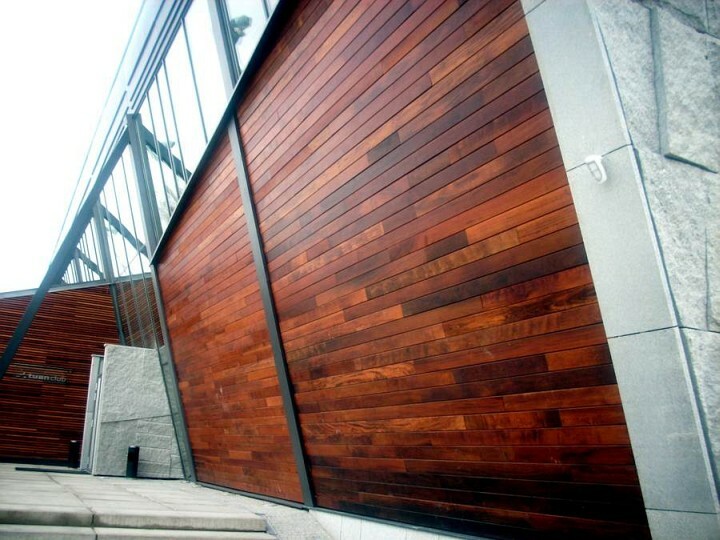 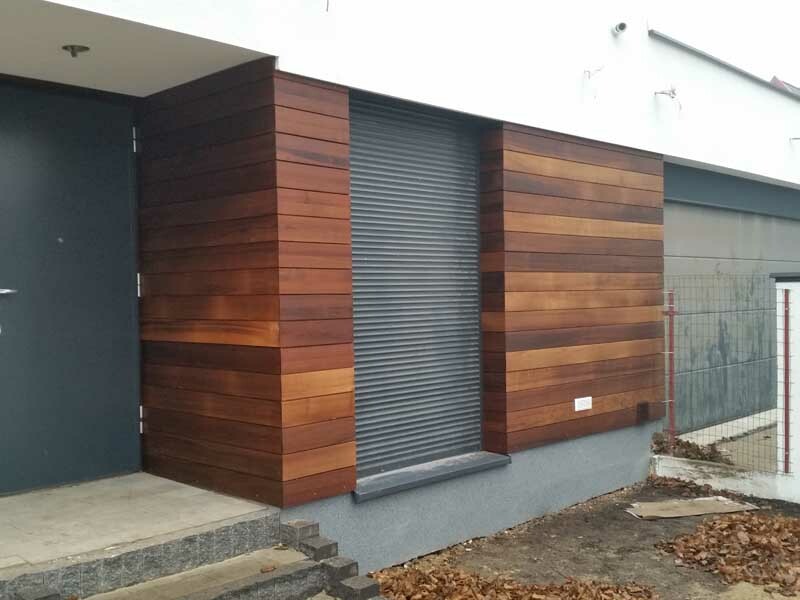 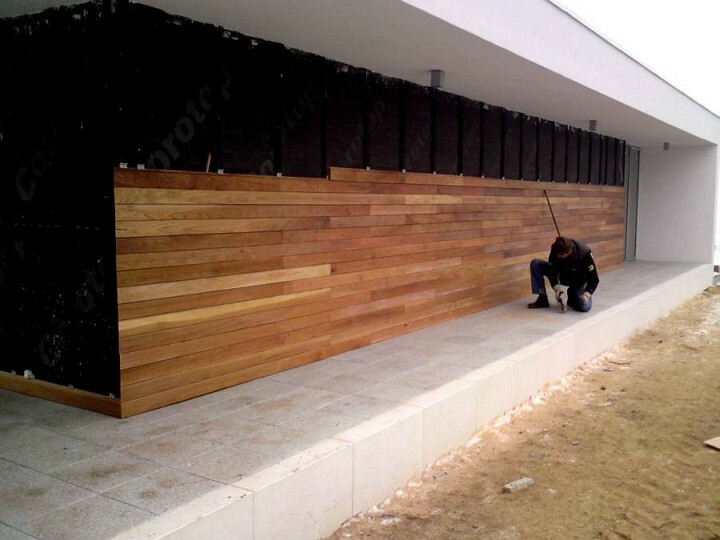 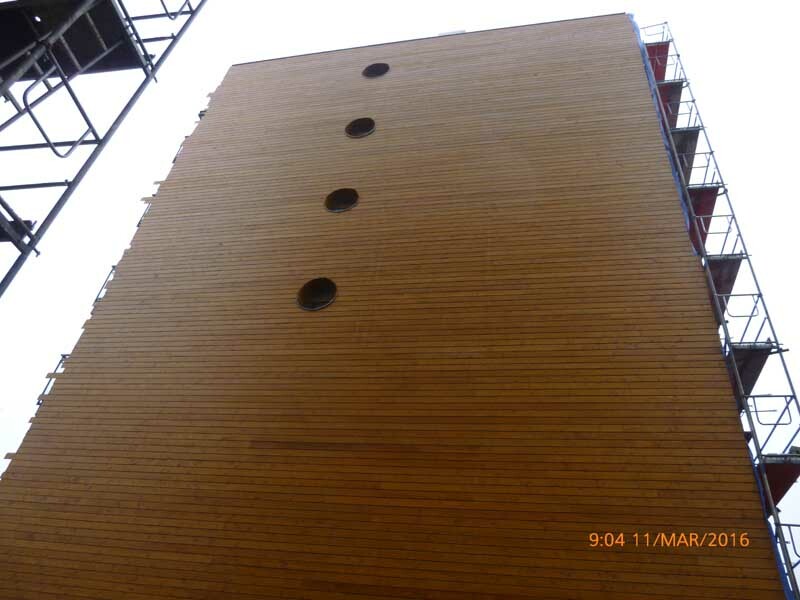 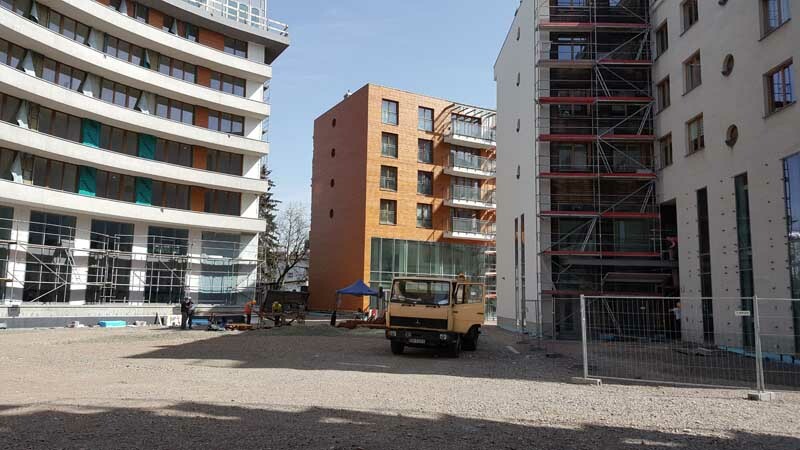 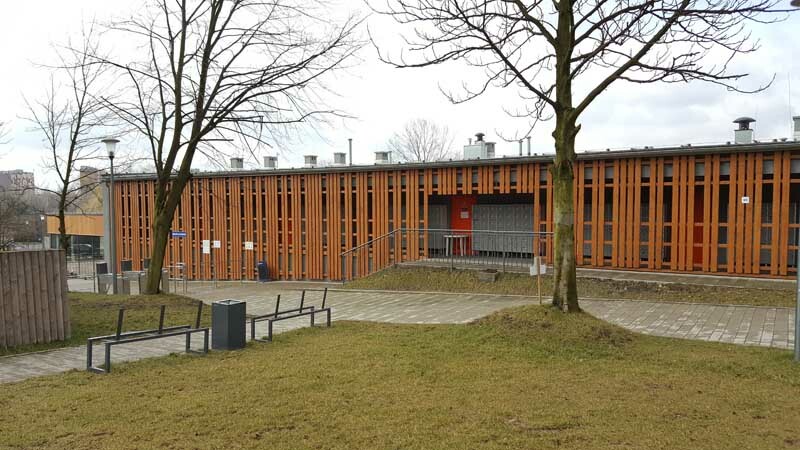 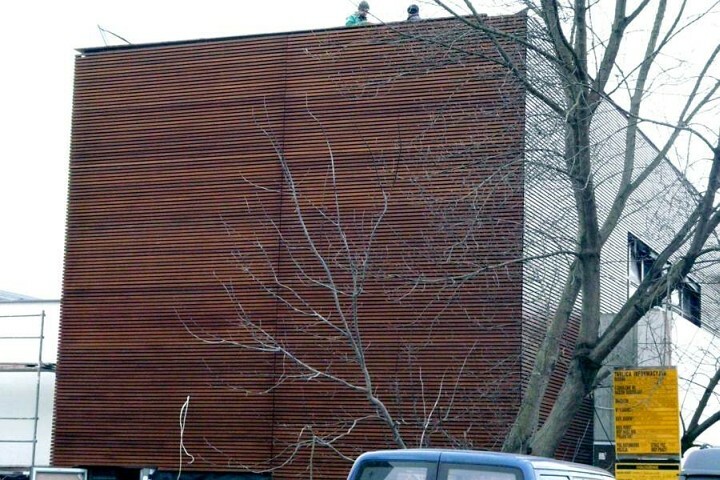 In this case the wood is playing the main role in the permanent composition, is the background of building elevation, or just a detail showing the uniqueness of the project. 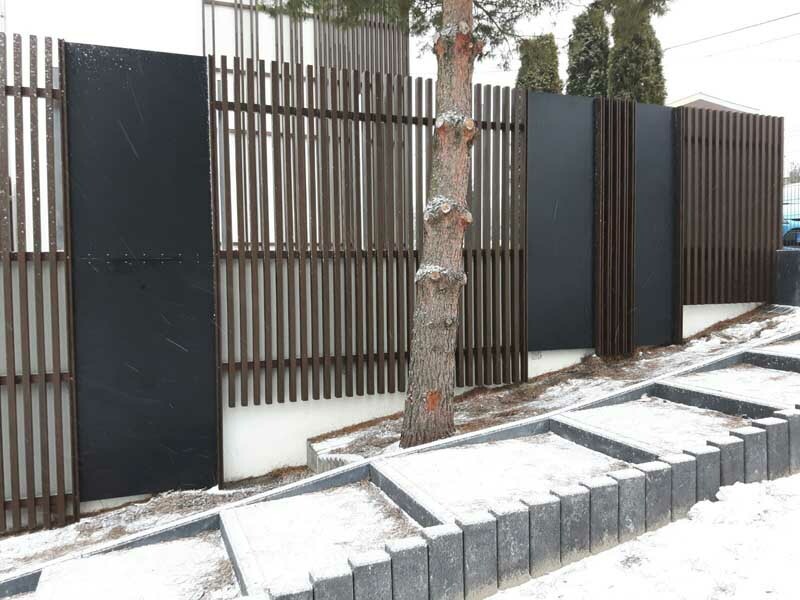 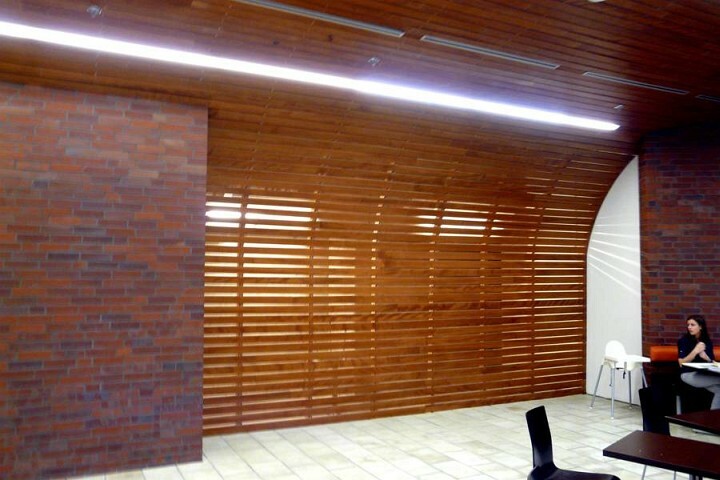 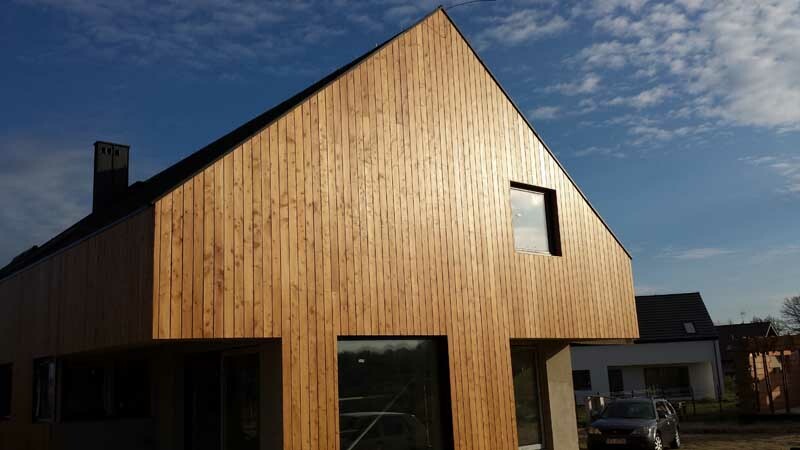 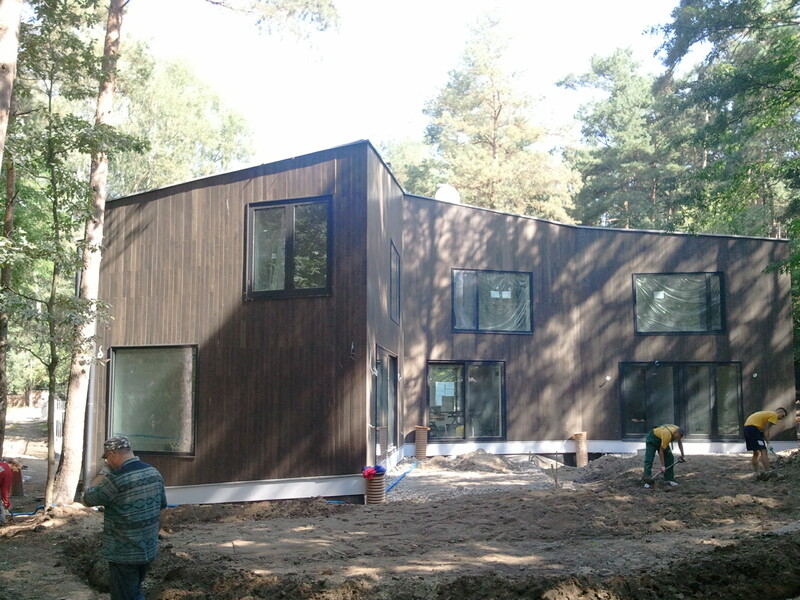 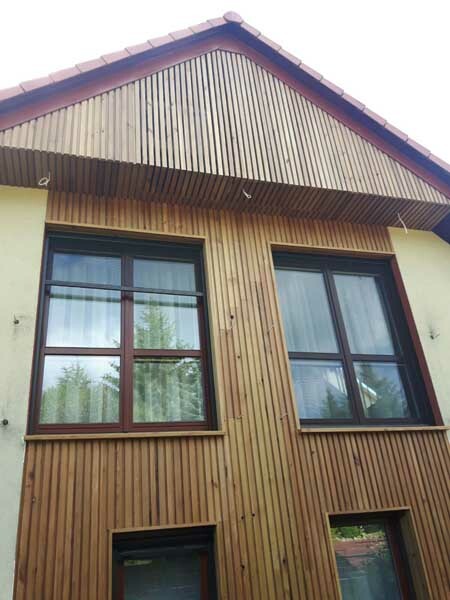 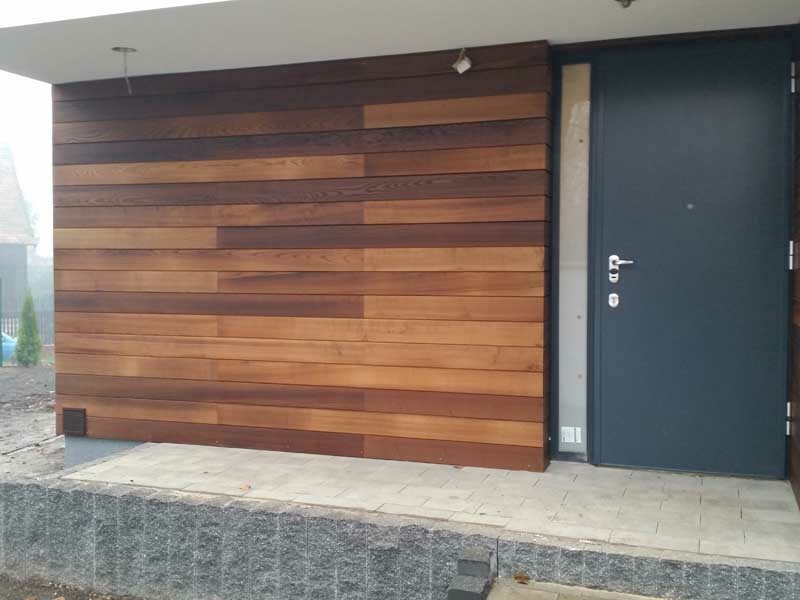 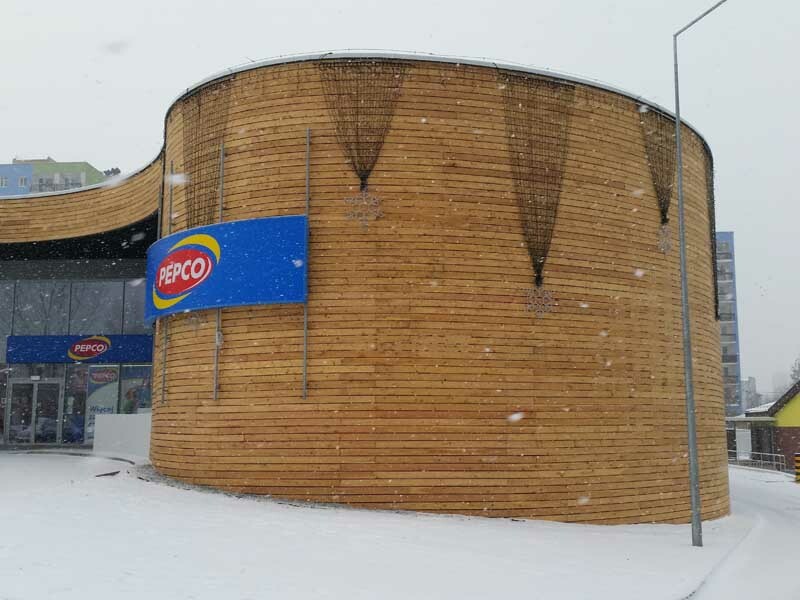 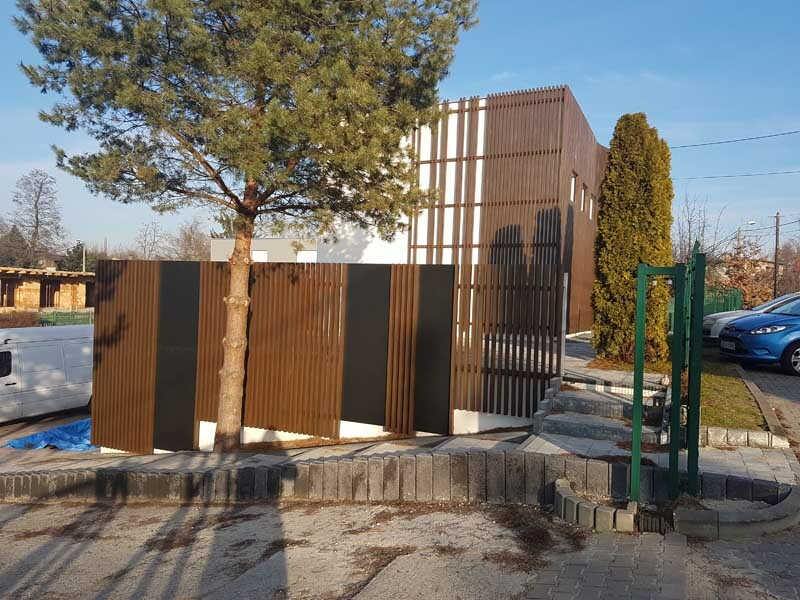 We use wood of high quality, mainly: Skandinavian spruce, Siberian larch, ash tree, thermo- ash tree and also exclusive types of egzotic wood: okume, badi, ipe, merbau, iroko, meranti, amazakoue. 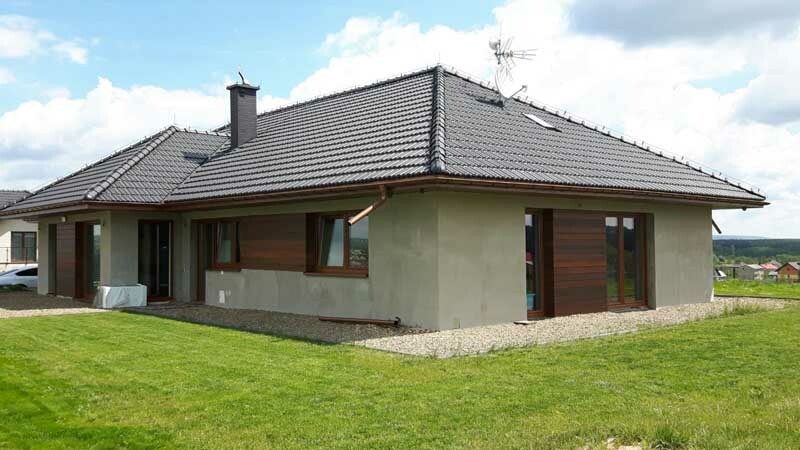 Their characteristics is interesting palette of colours and graining and great resistance. 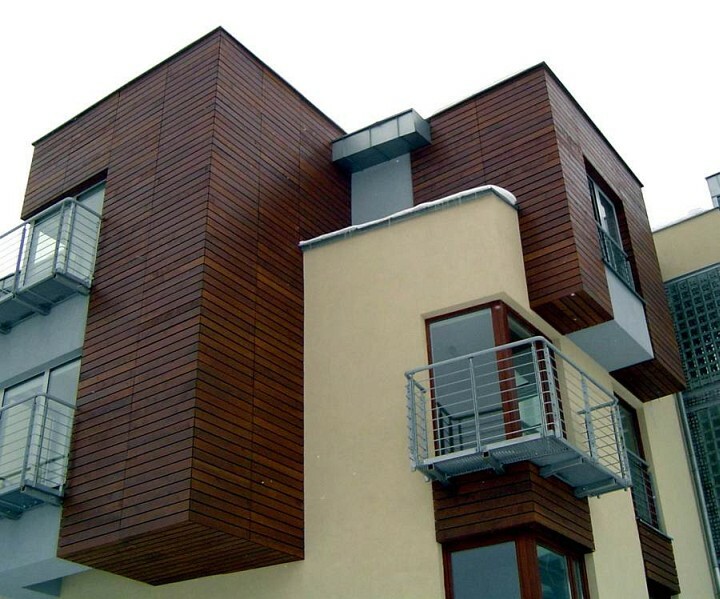 Favorable price-quality ratio makes wooden elevations even more attractive. 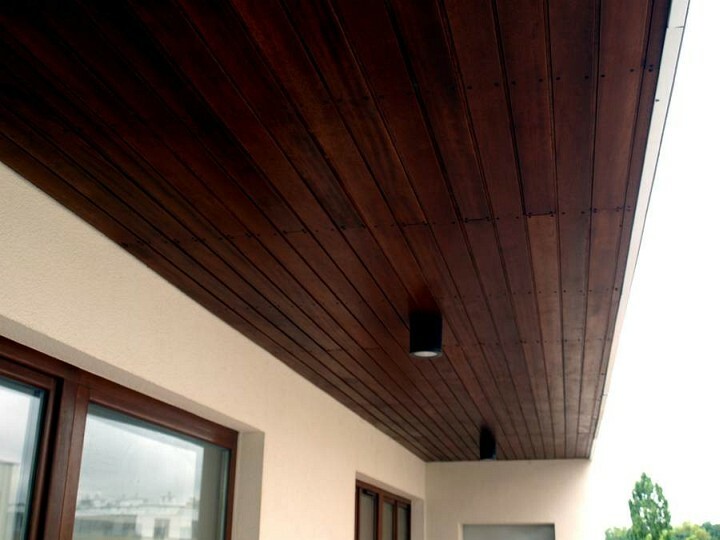 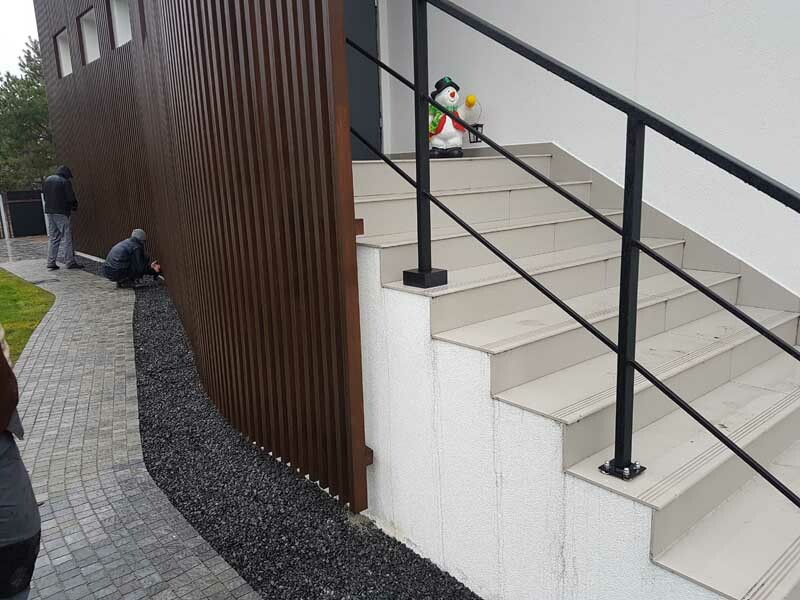 Fixing elements are hiden beneath the surface of elevation plank, thanks to this solution elevation looks more esthetic and light. 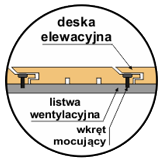 Where we use decorative assembly screws made from steel alloys. 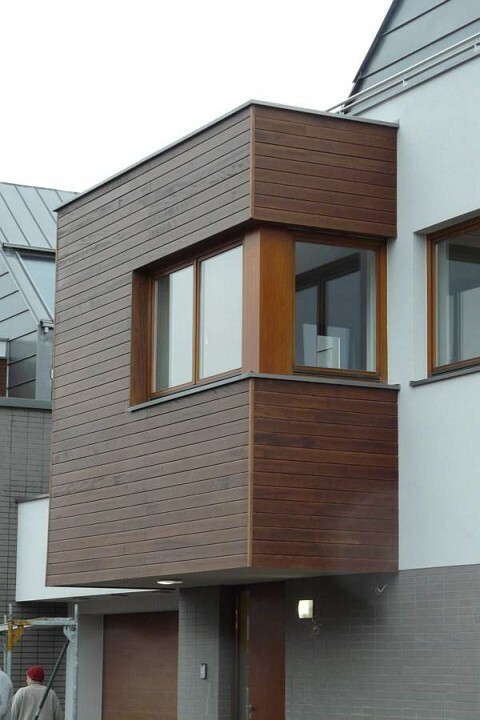 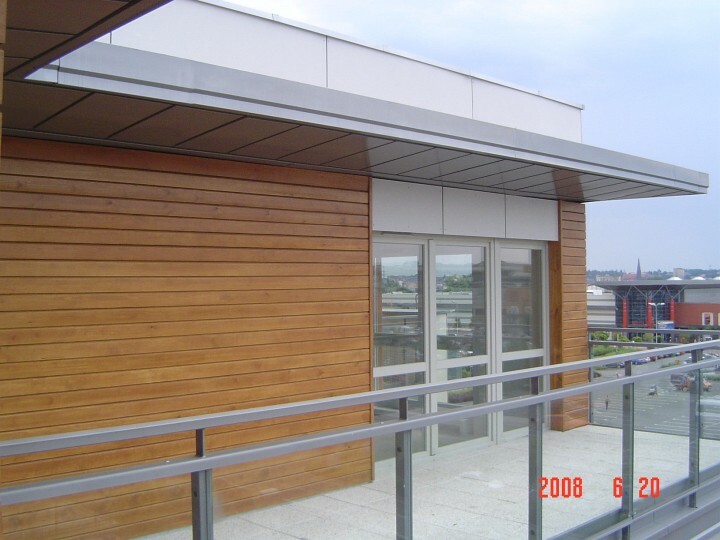 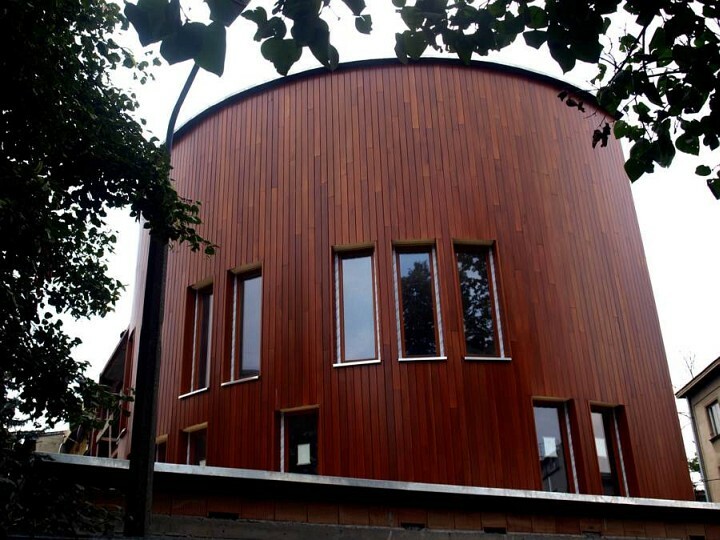 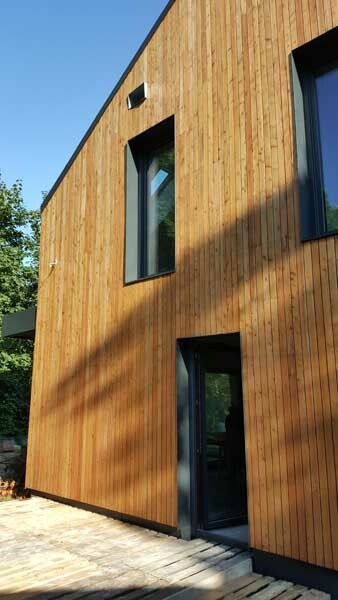 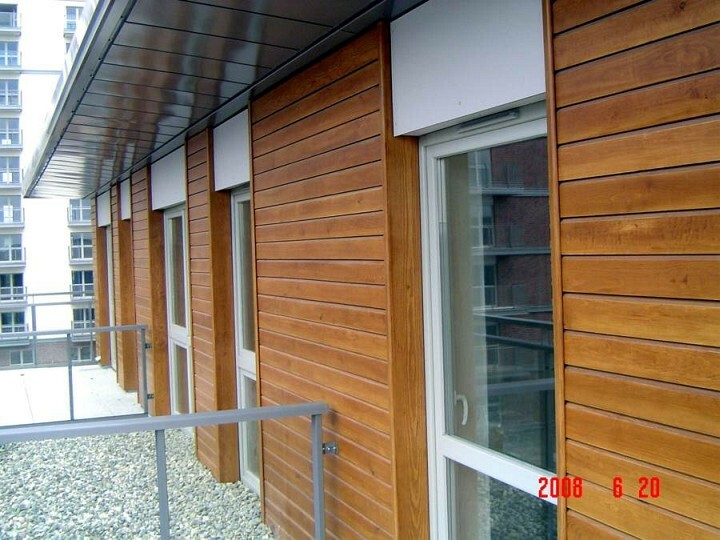 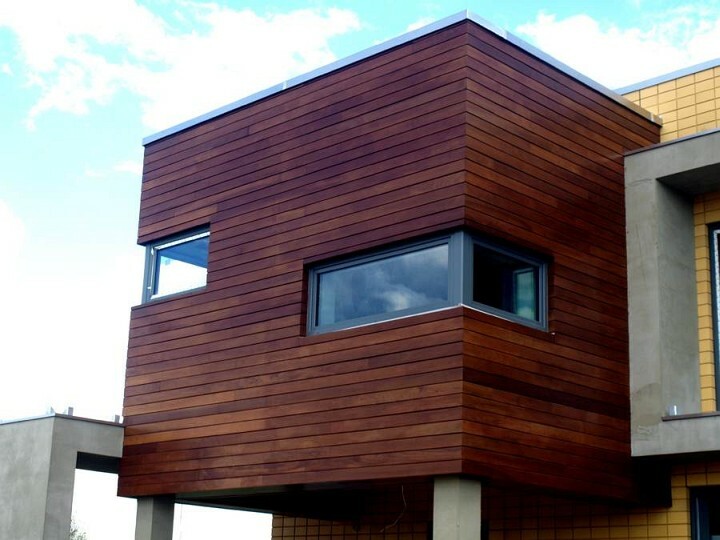 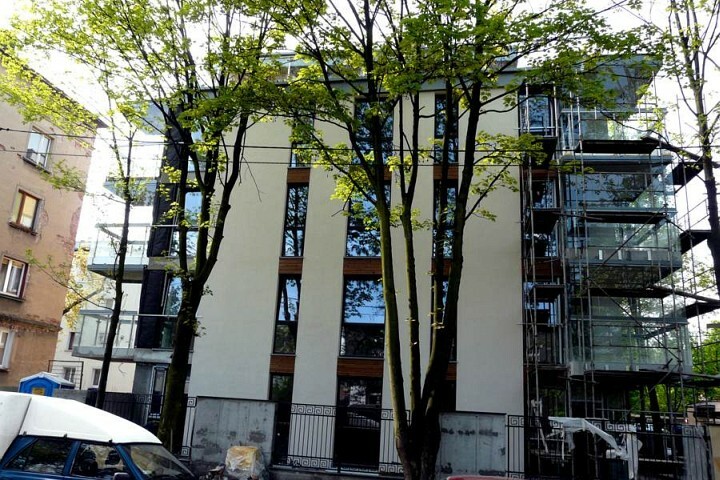 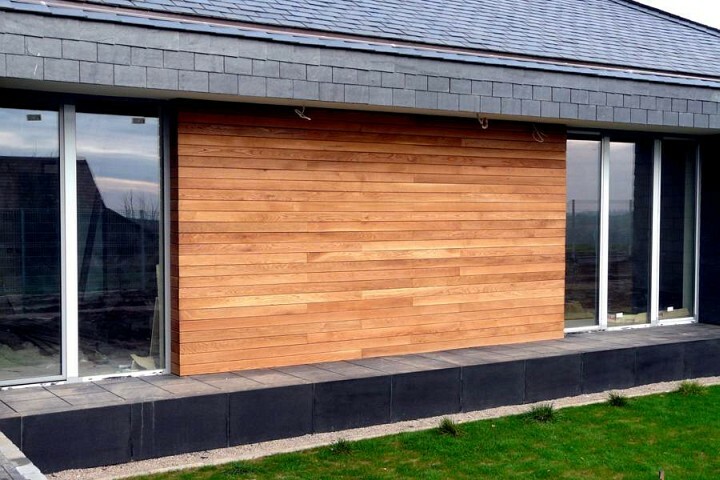 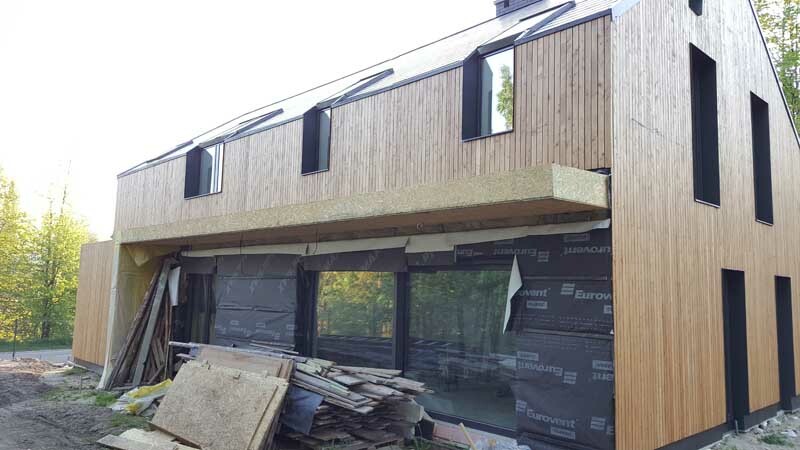 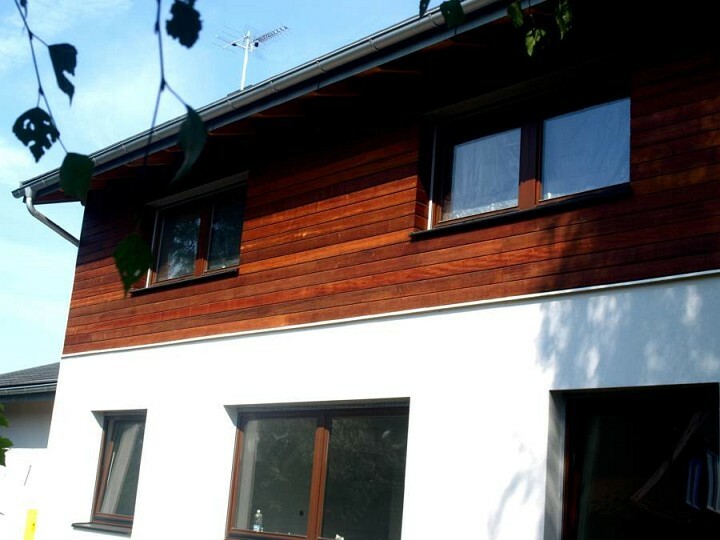 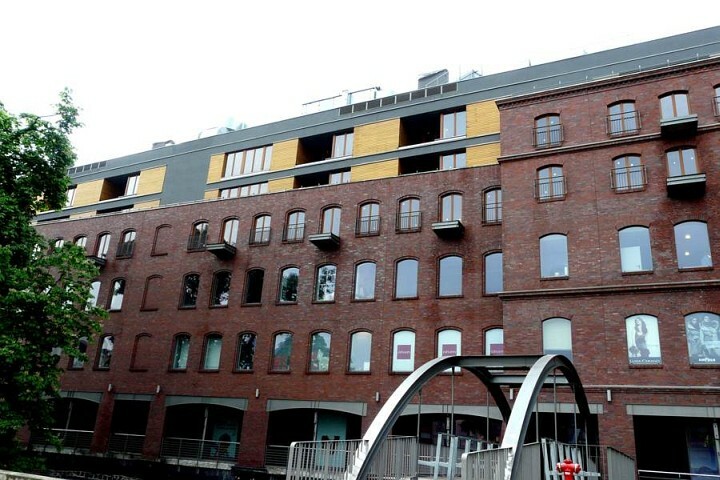 This solution underlines the natural character of elevation lining. 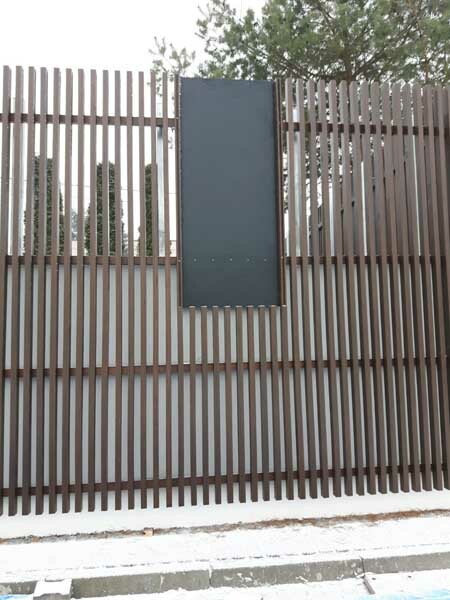 All of the steel parts are protected by galvanizing or we use stainless steel. 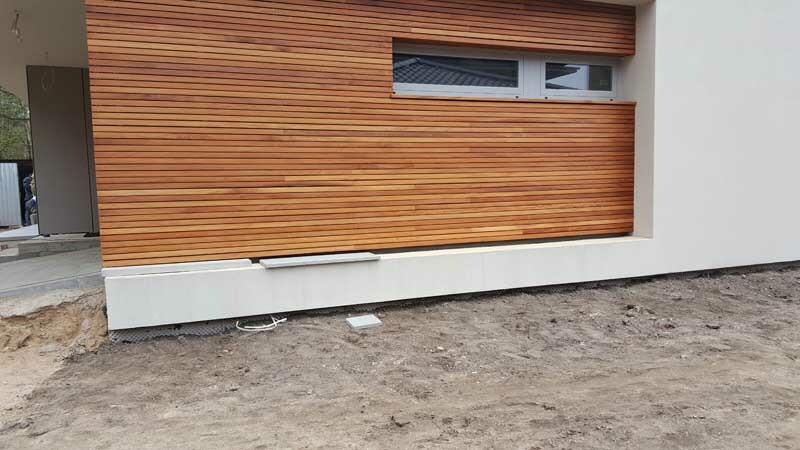 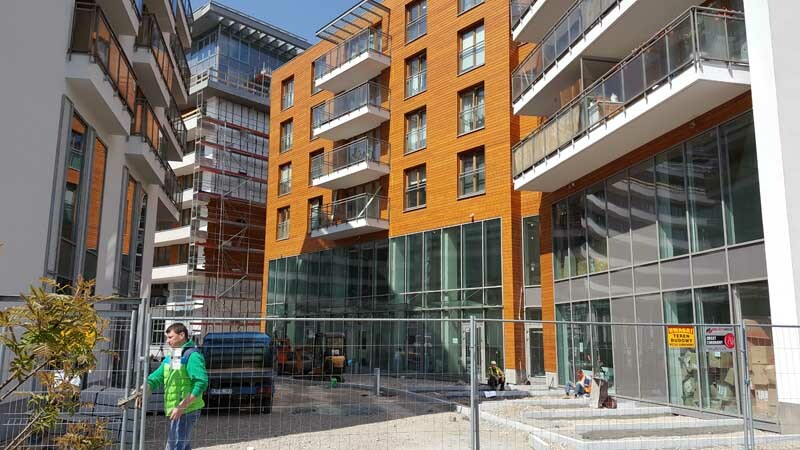 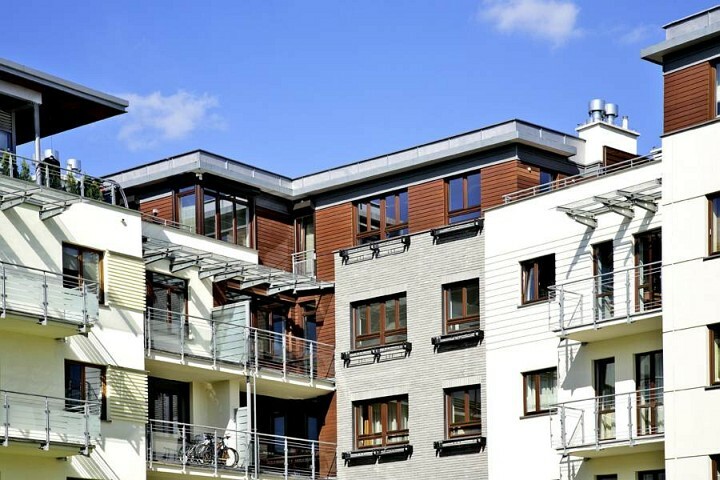 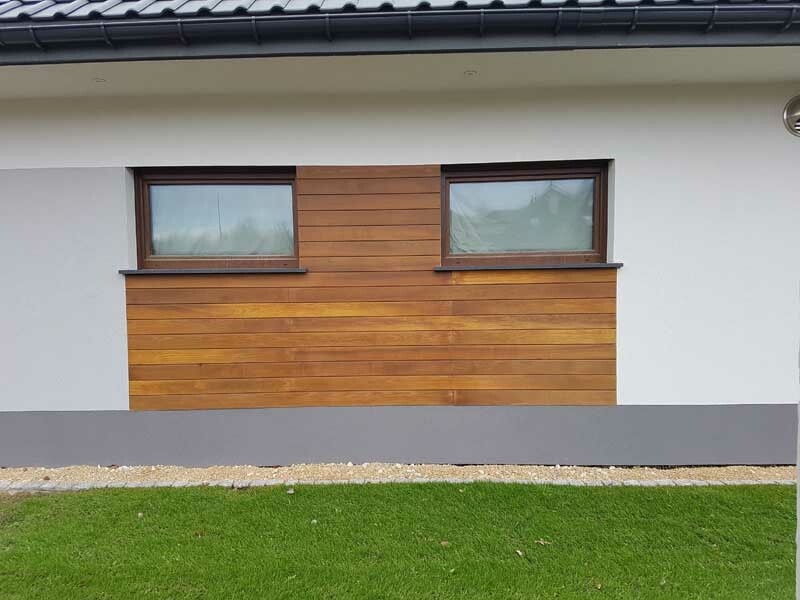 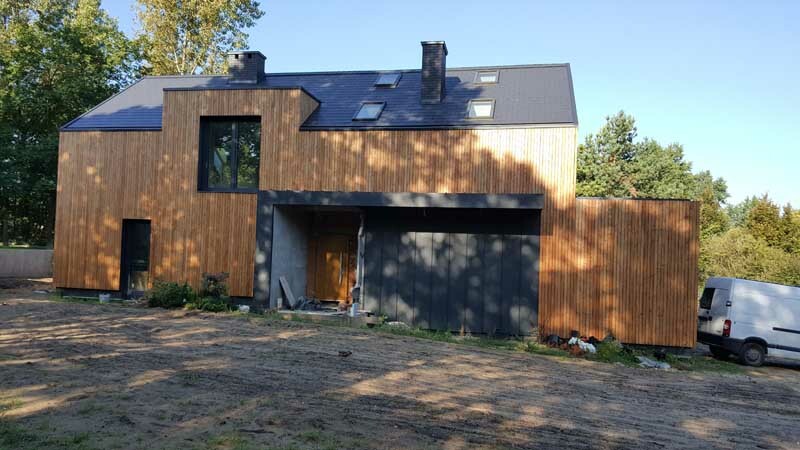 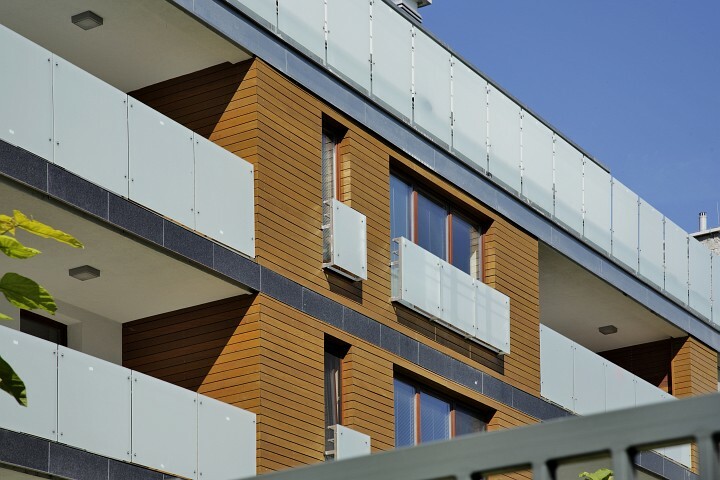 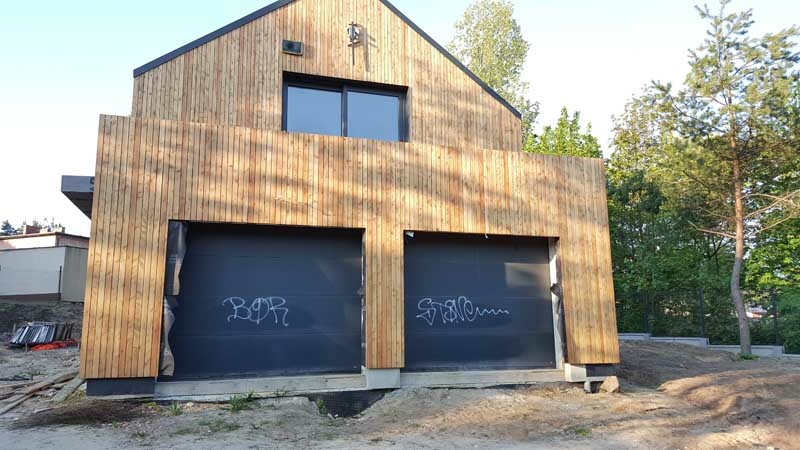 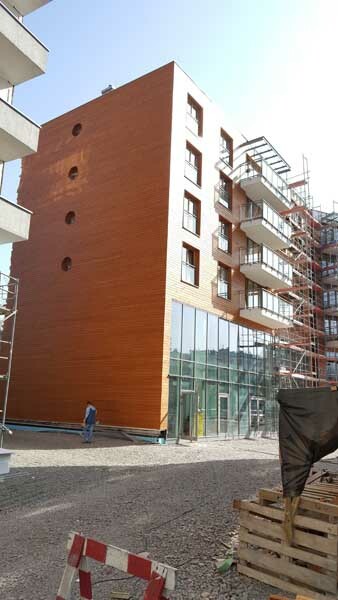 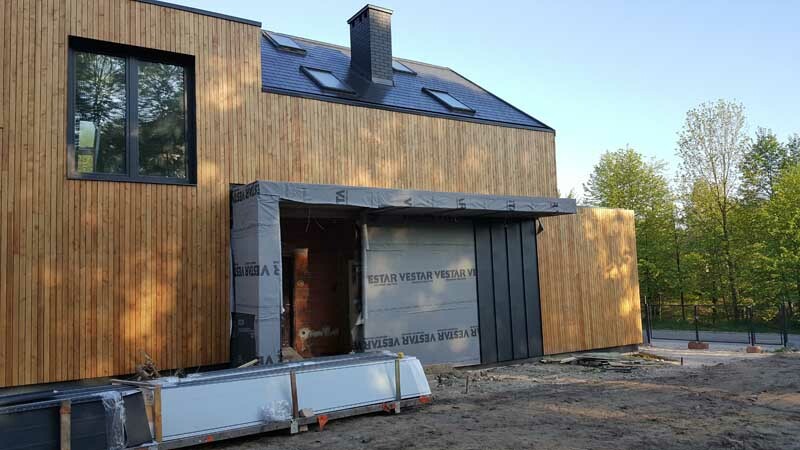 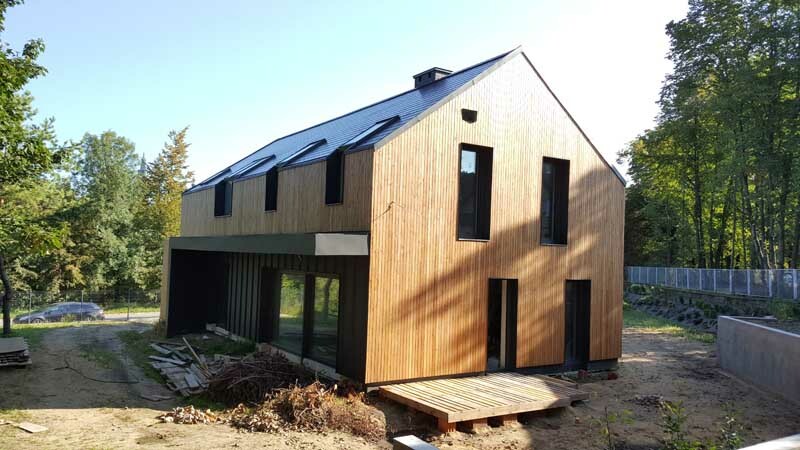 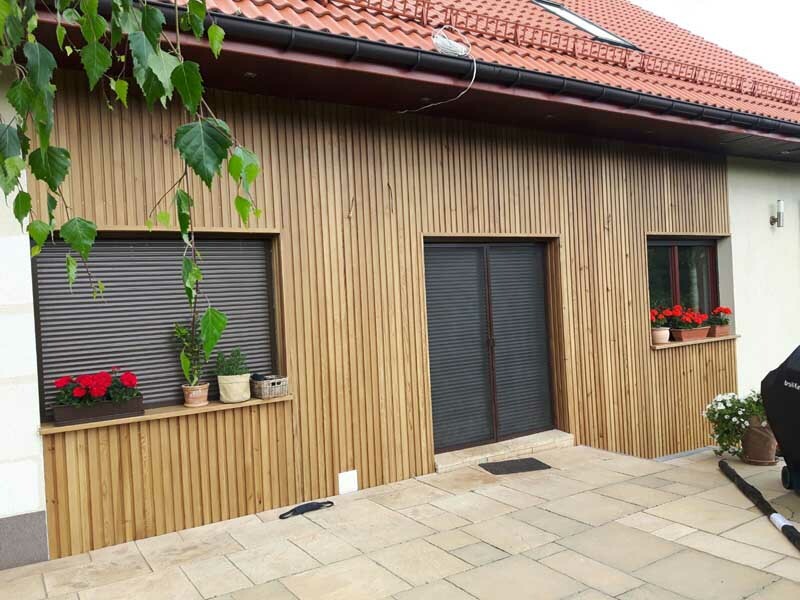 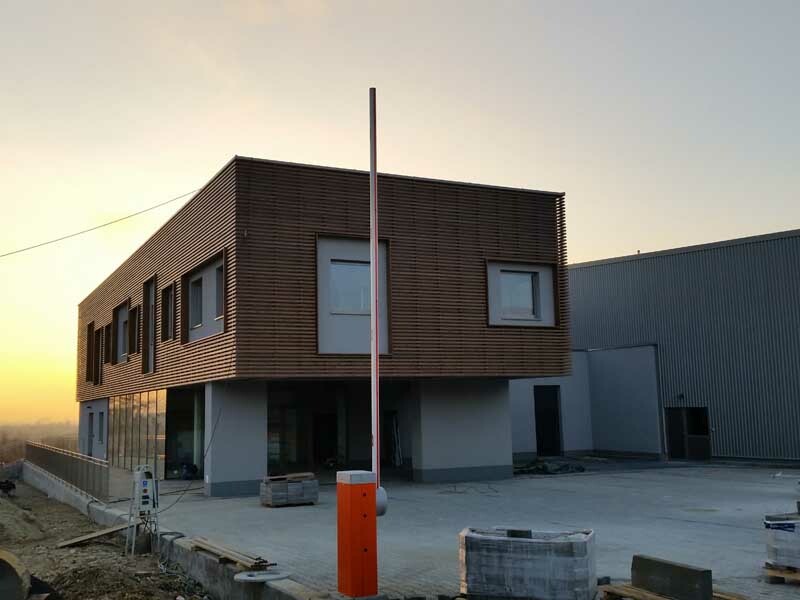 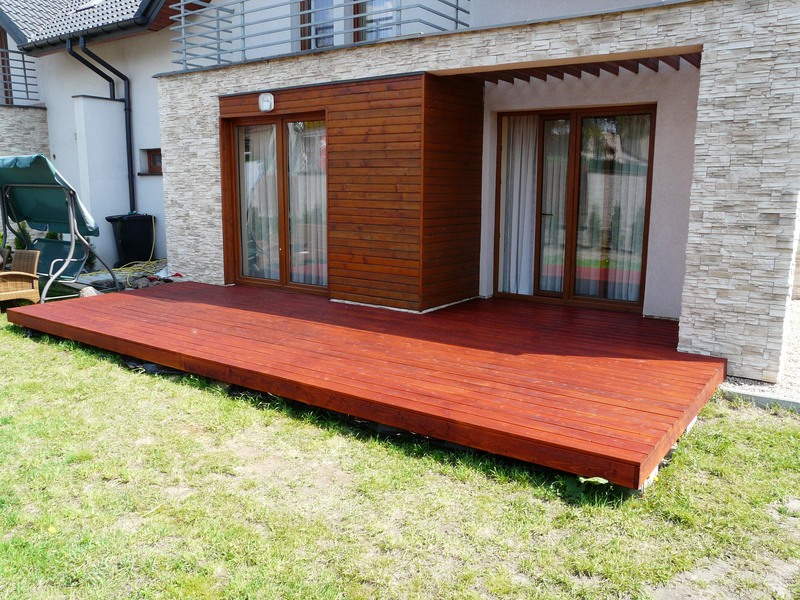 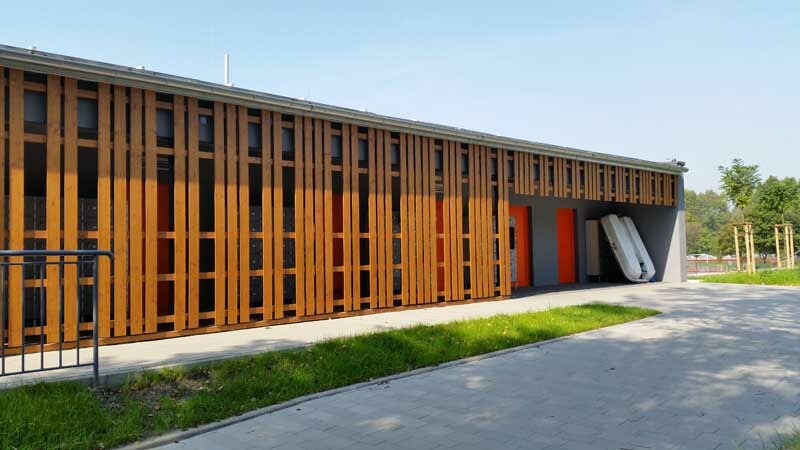 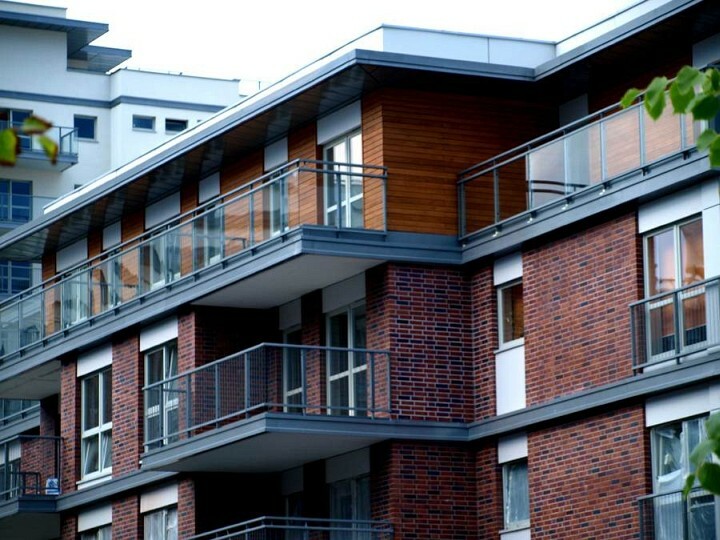 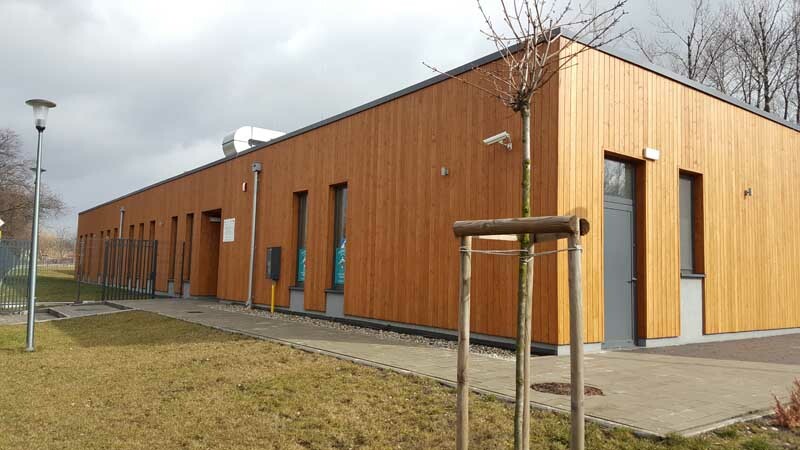 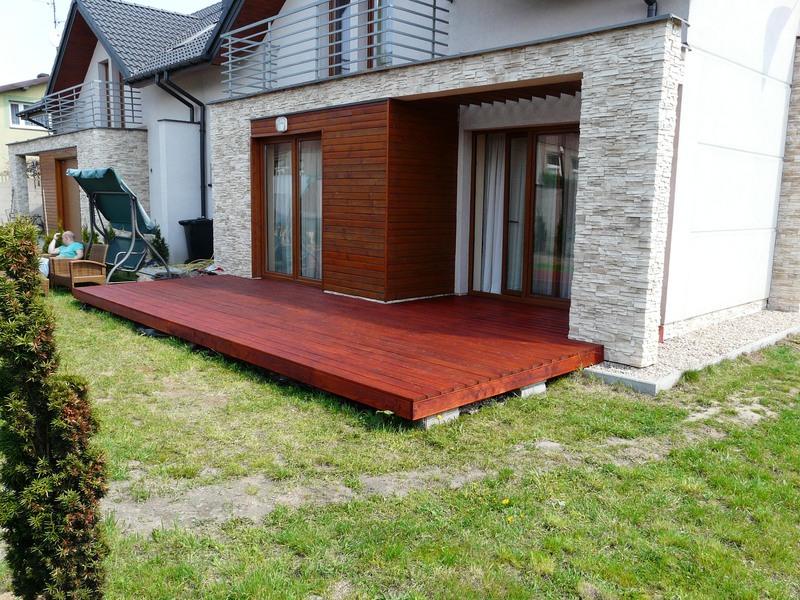 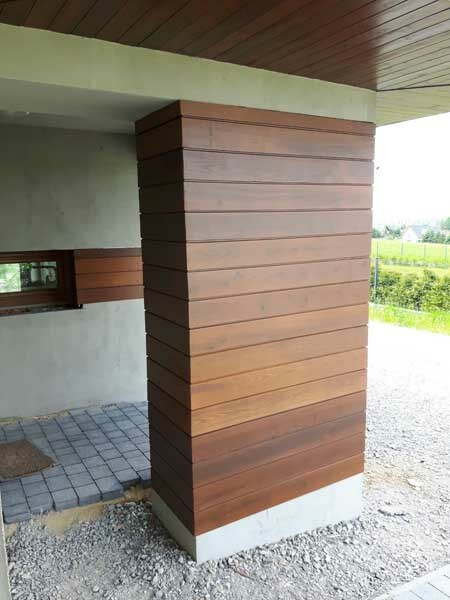 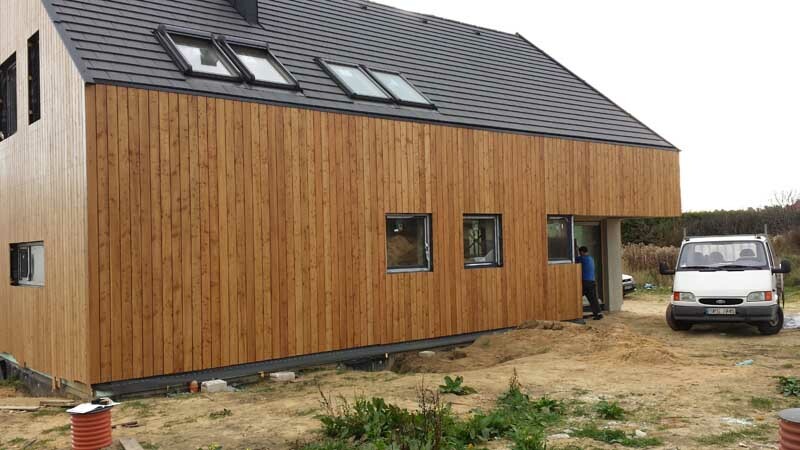 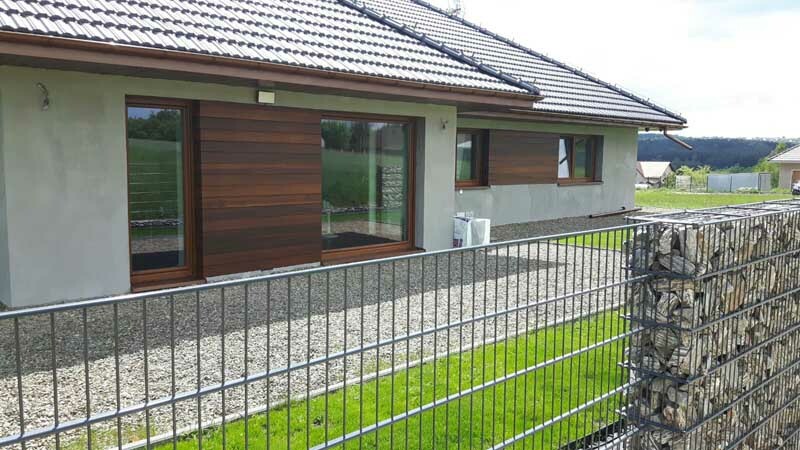 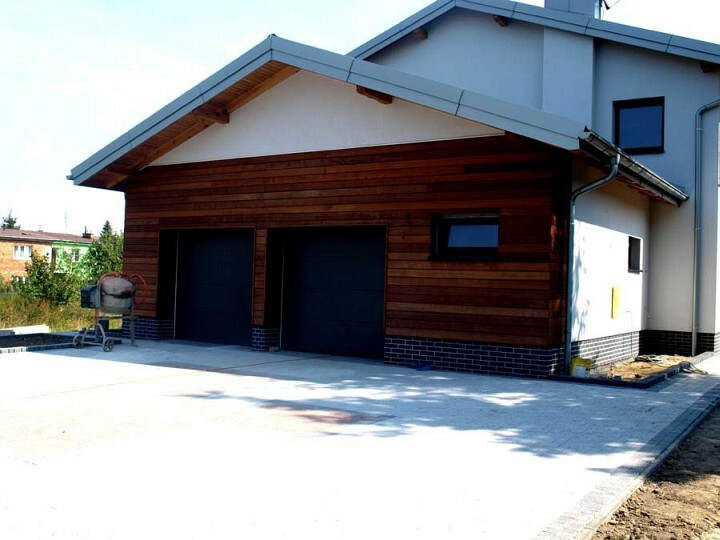 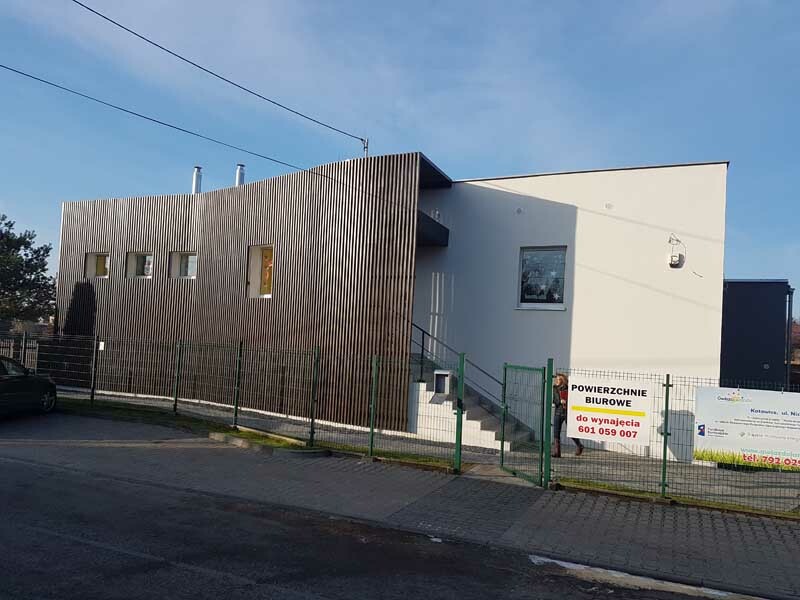 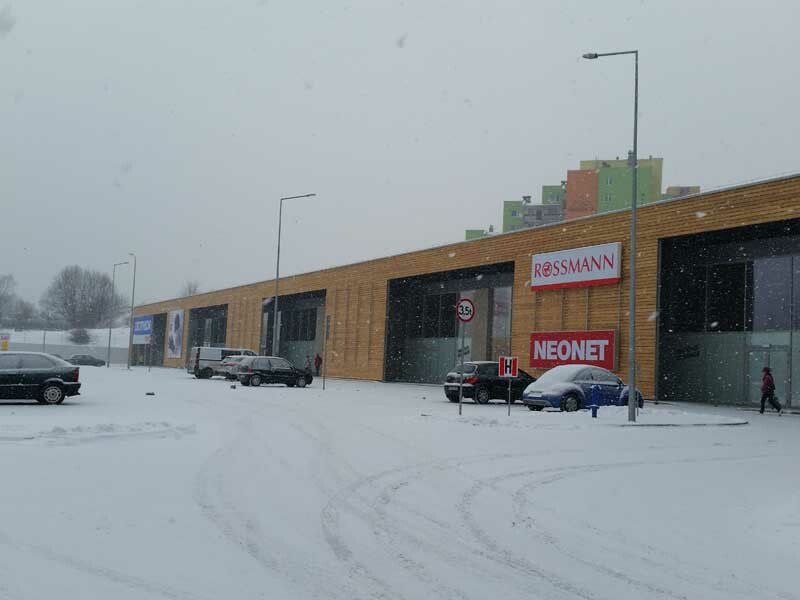 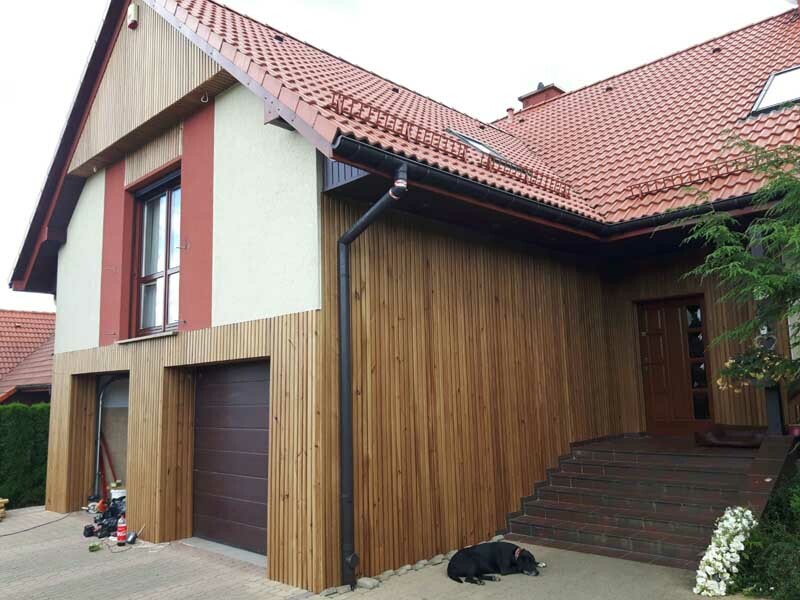 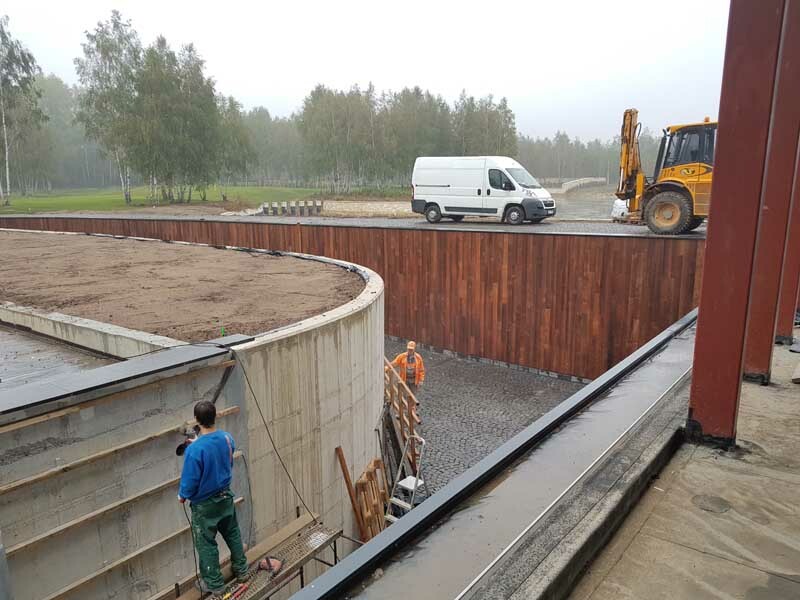 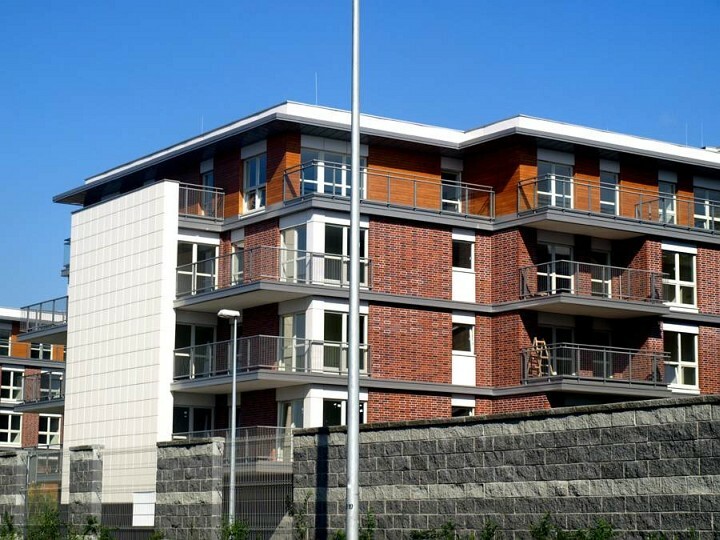 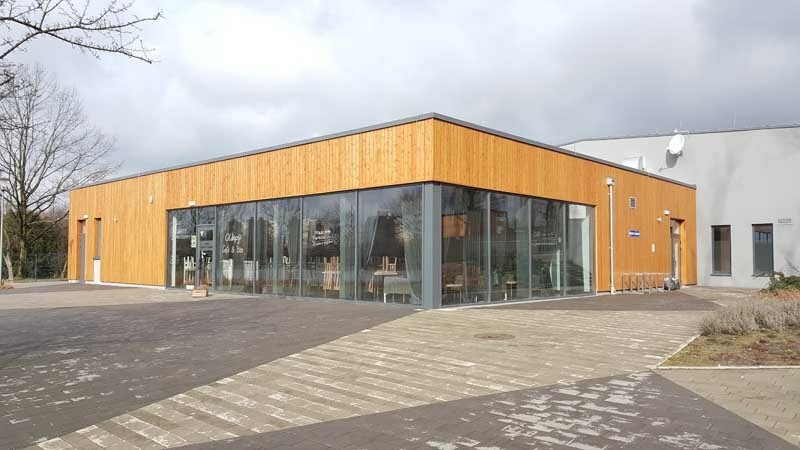 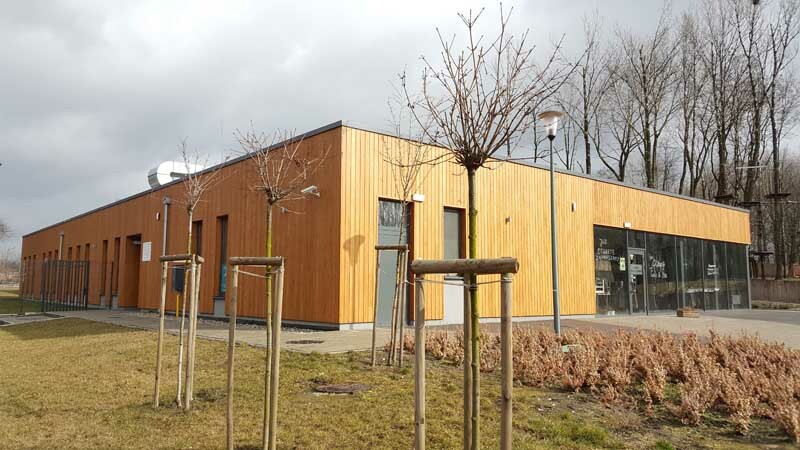 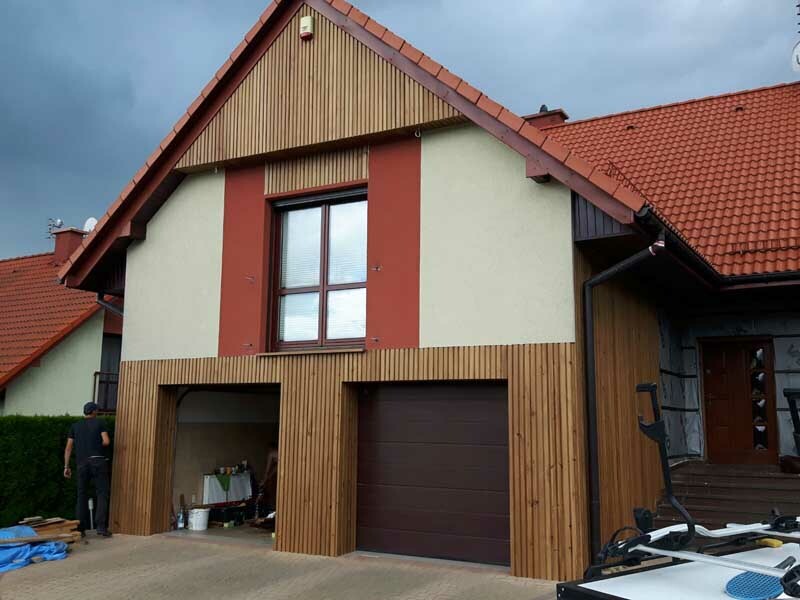 The wood for elevation is protected with full system including impregnation, primer and topcoat or impregnation and oiling use the products of well-known brands like; SIKKENS. 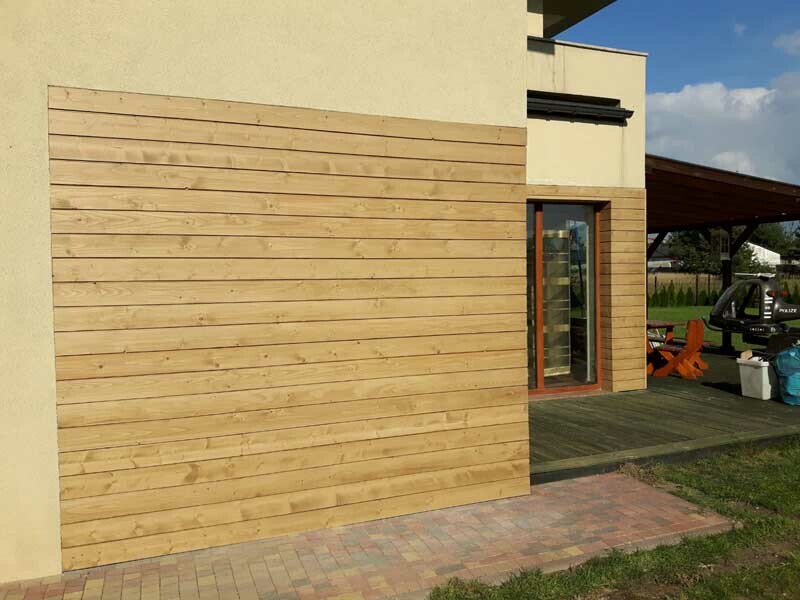 Effective impregnation perfectly protecs elevation planks from weather conditions and biological factors. 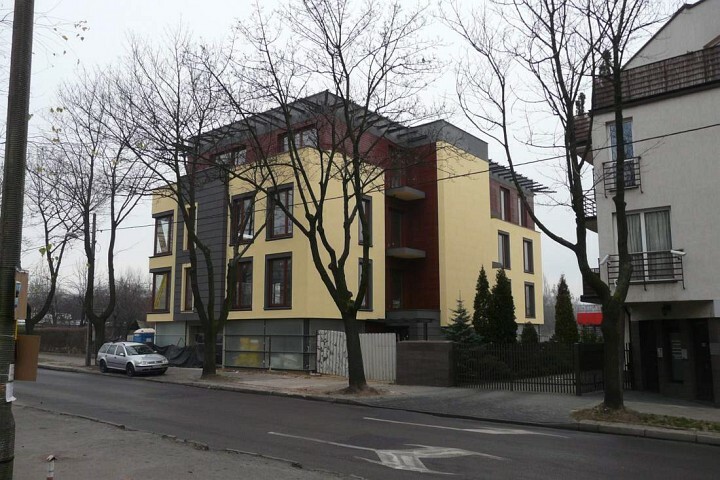 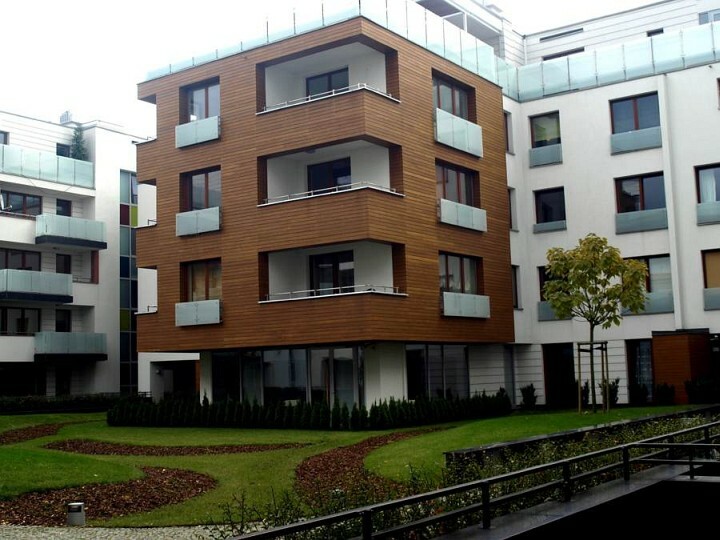 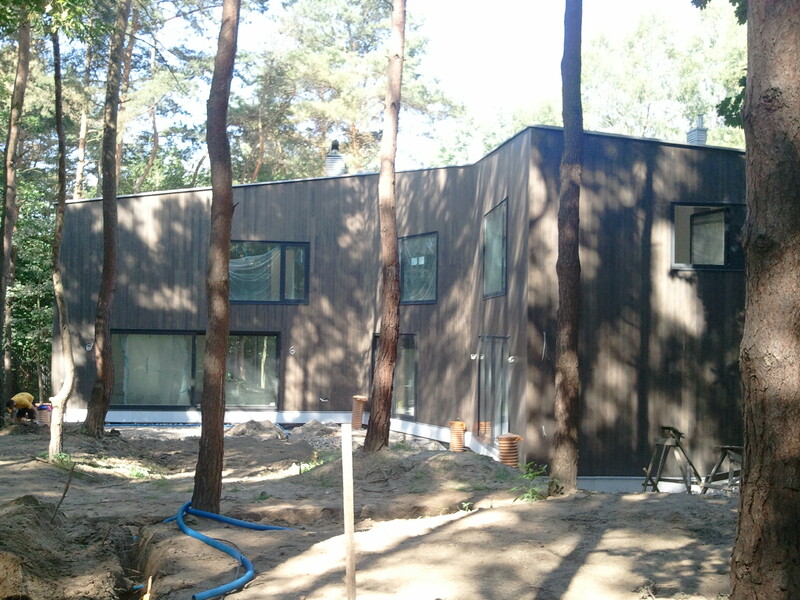 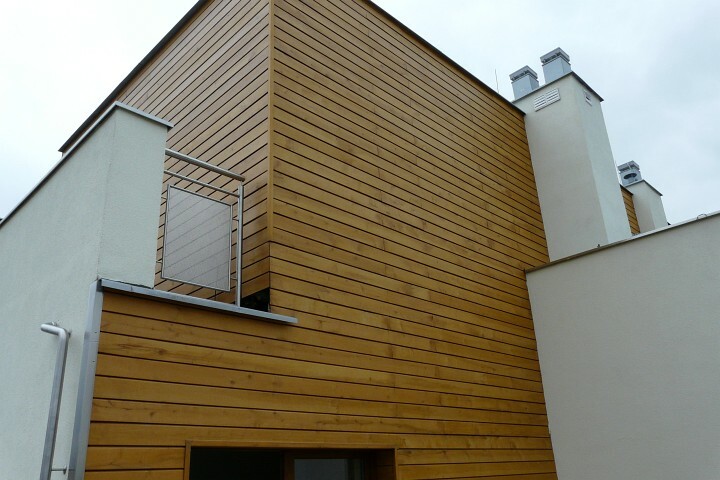 The thickness of wooden elevations is carefully chosen according to the client’s wishes. 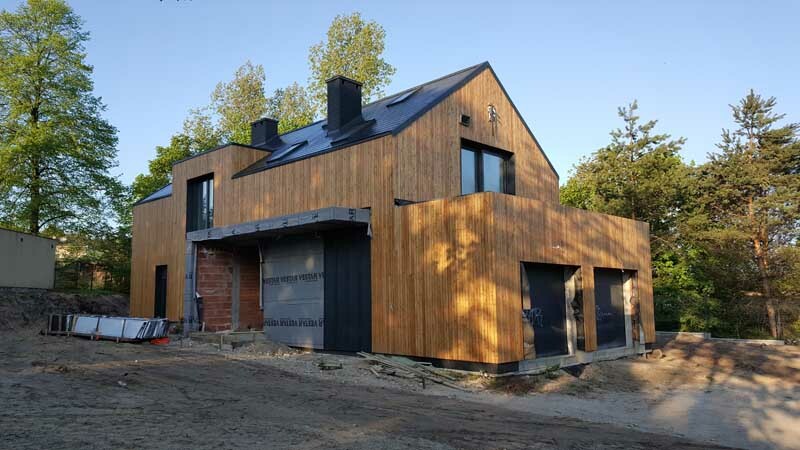 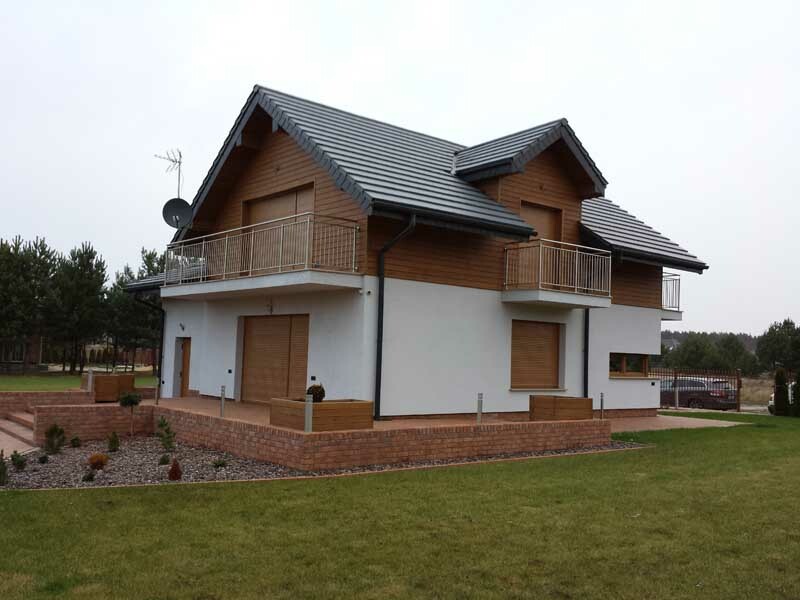 Below gallery to be seen, where our wooden elevations are shown on many different building sites, starting from single family houses and ending with developer’s buildings. 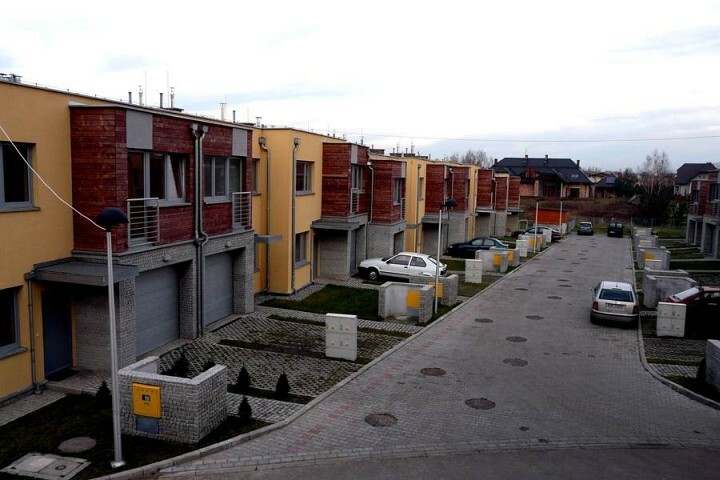 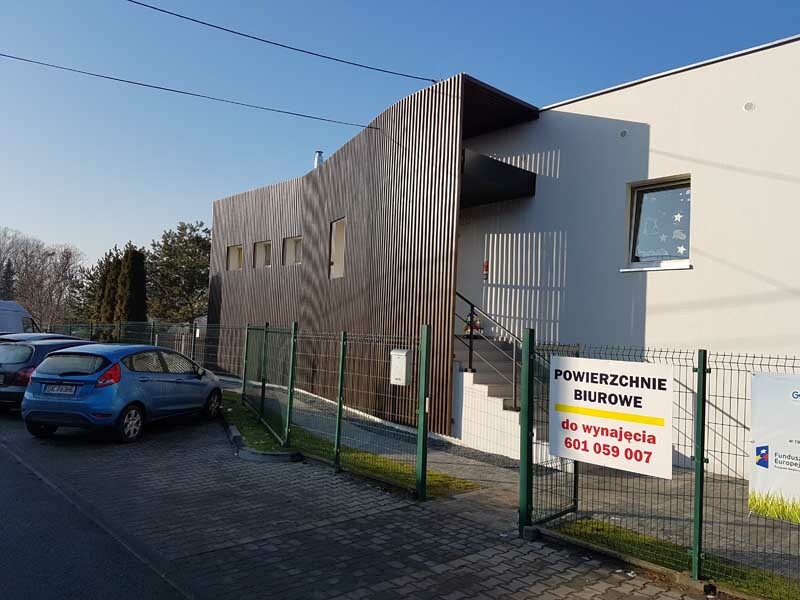 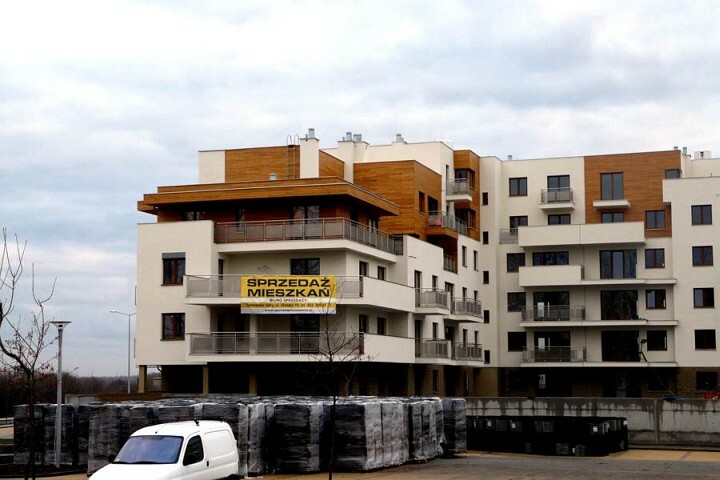 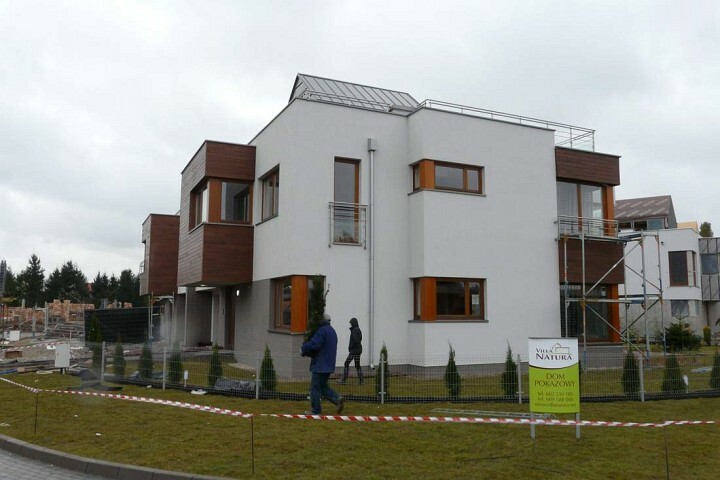 Soon the next photos from the new investments will be added to our website.